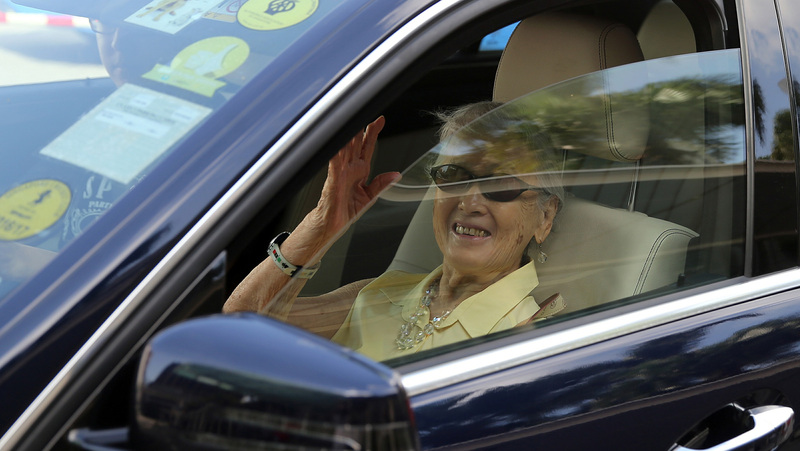 Yang Yin in a police car on Nov 5, 2014. 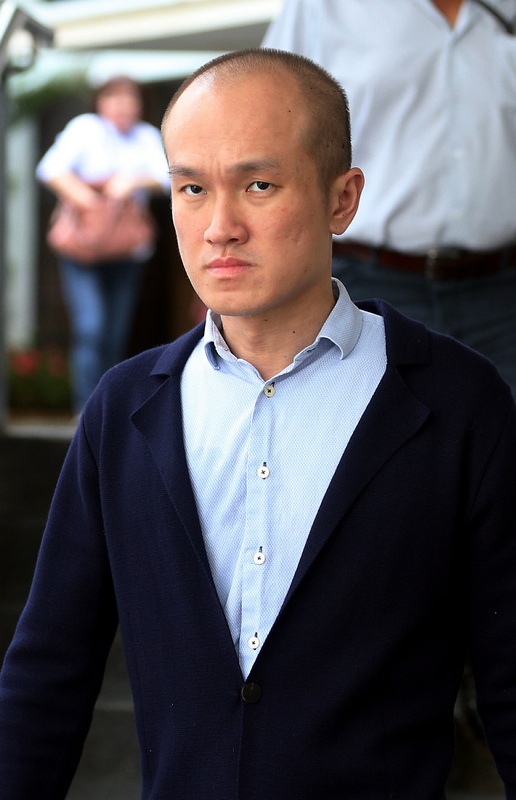 The former tour guide embroiled in a high-profile court tussle over the control of a rich widow's assets must wait longer to find out if he can dip into two insurance policies to pay for his legal fees for his ongoing court battles. 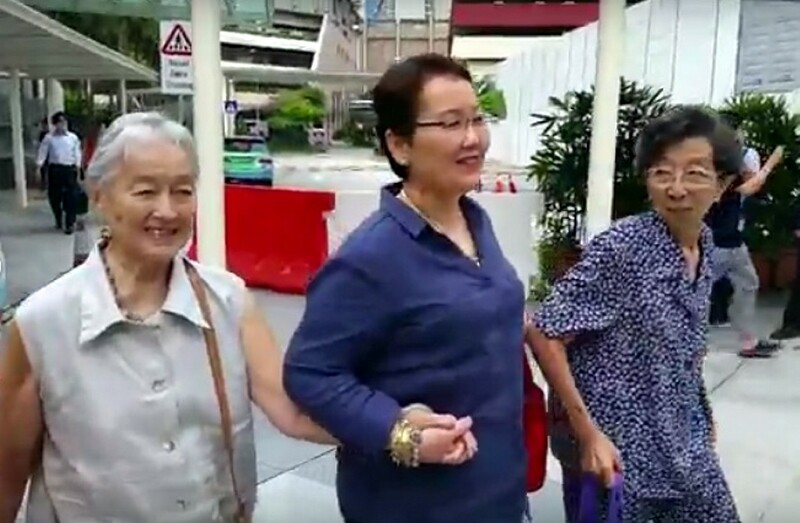 The State Court will sit again next Wednesday on whether to release two insurance policies in Yang Yin's name - which are worth about $98,000 and currently frozen by the High Court. 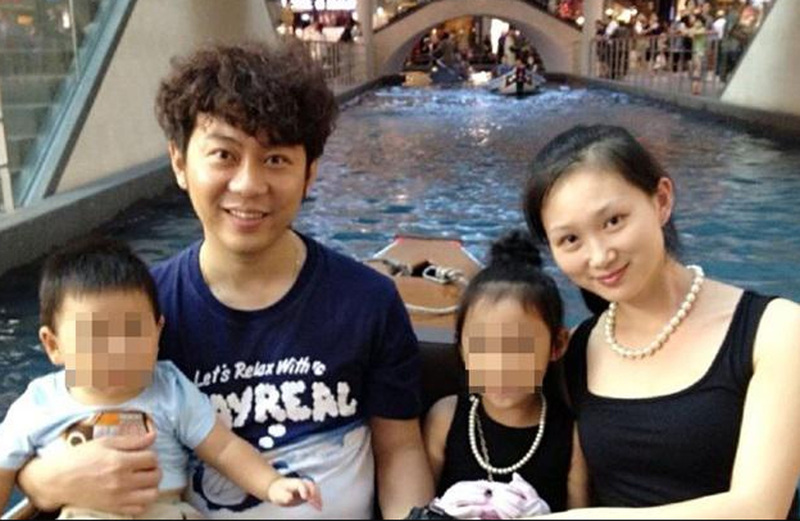 In April, the High Court allowed Yang, 41, to liquidate both life insurance policies to pay for his legal fees. 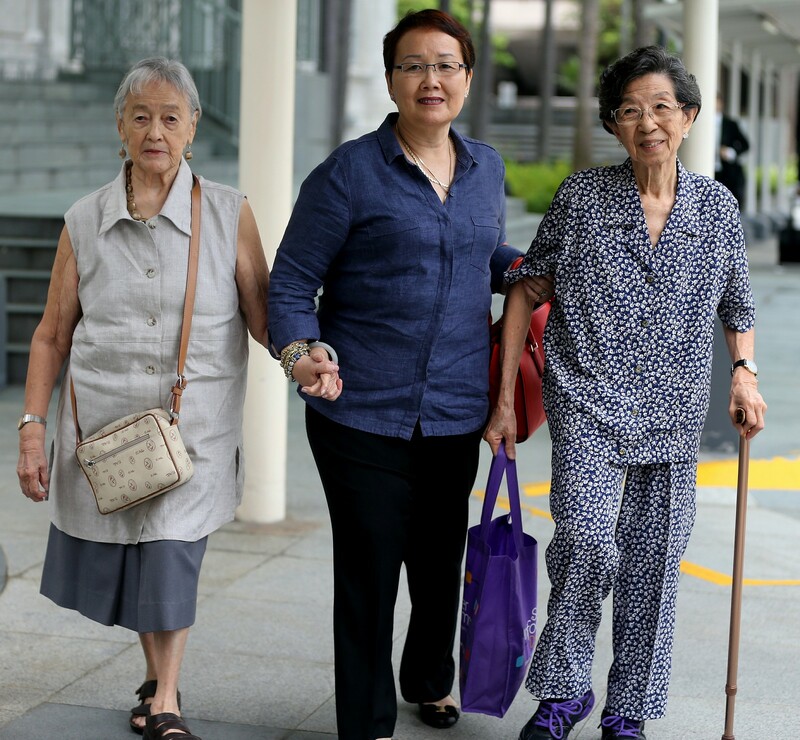 The policies will help cover his legal bills in a high-profile High Court suit brought against him by Chung Khin Chun, 88, through her niece Hedy Mok. 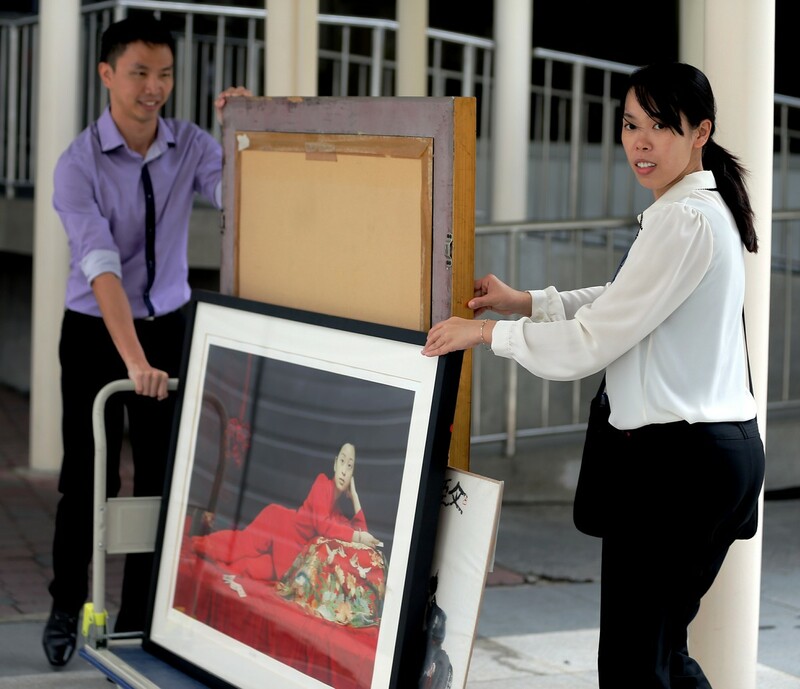 Madam Mok, 61, has accused Yang of manipulating her aunt into handing over assets worth an estimated $40 million. 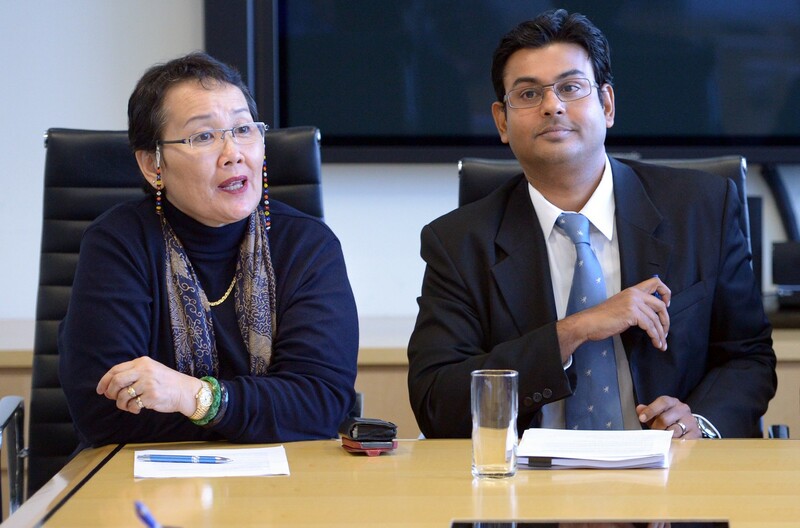 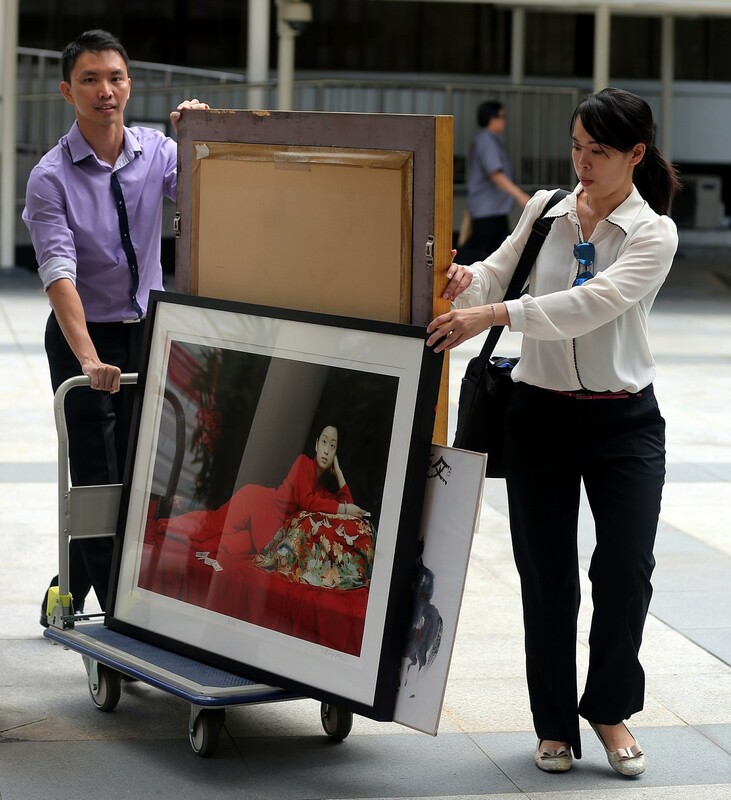 The policies were among Yang's assets which Madam Mok obtained a High Court order to freeze last year. 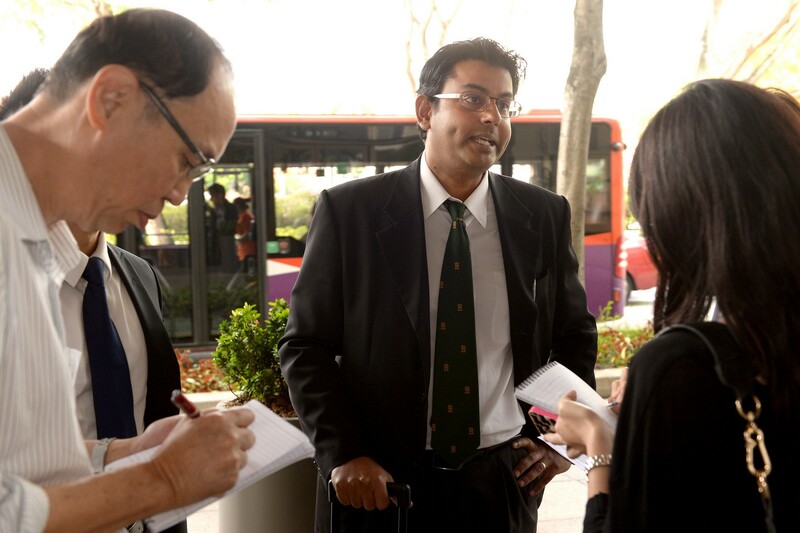 The High Court suit is set to be heard in March next year. 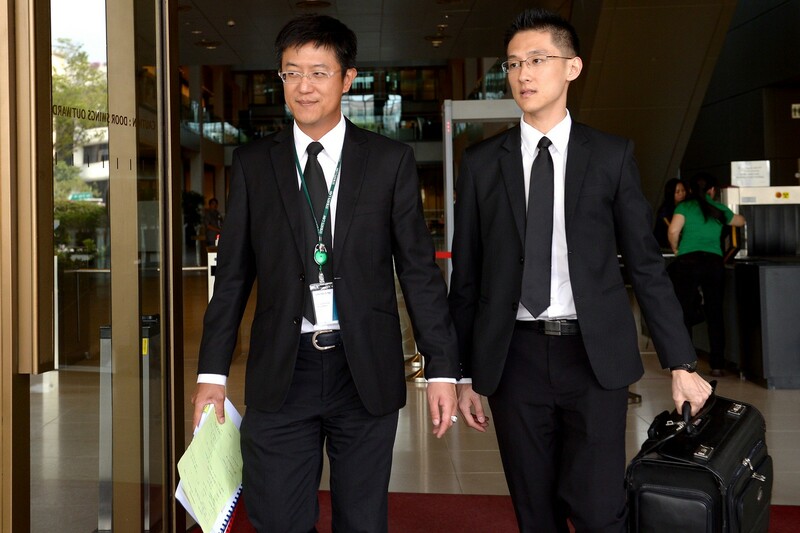 Even though the High Court has released the policies to Yang, he is still unable to access them yet because they were separately seized by the Commercial Affairs Department (CAD) last year for criminal investigations. 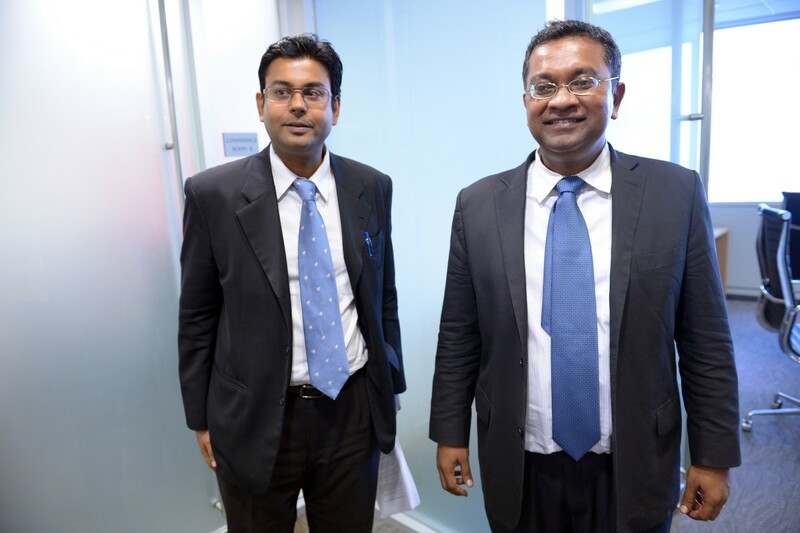 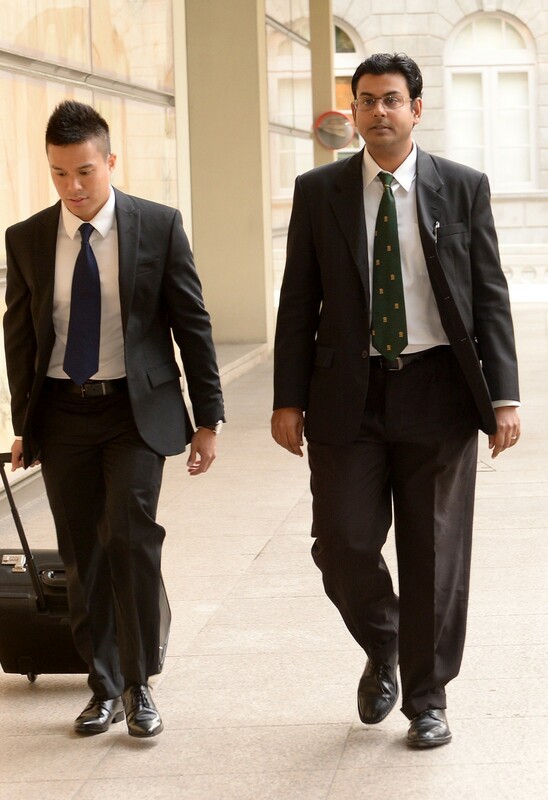 A closed-door hearing at the State Court yesterday was to hear arguments from the Attorney-General's Chambers, which is representing CAD, and lawyers representing Yang and Madam Mok on whether CAD can release the insurance policies while the High Court suit is still pending. 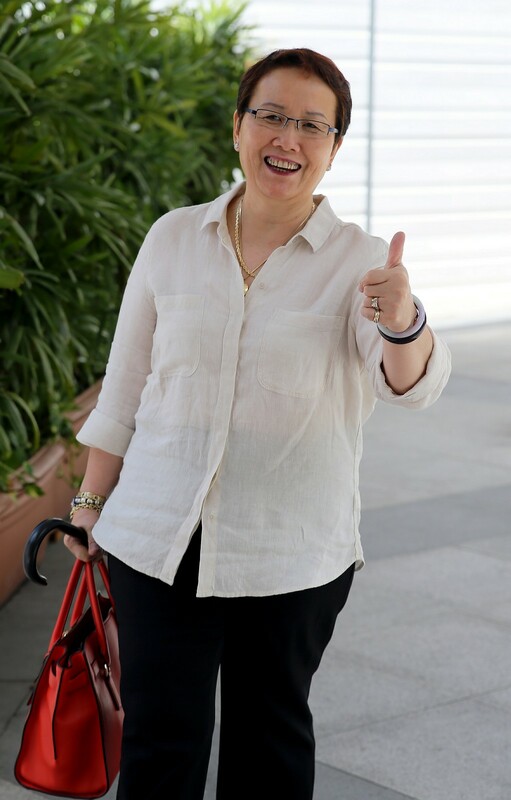 Besides the High Court suit by Madam Mok, Yang faces more than 300 criminal charges in total, including two criminal breach of trust charges for allegedly misappropriating $1.1 million. 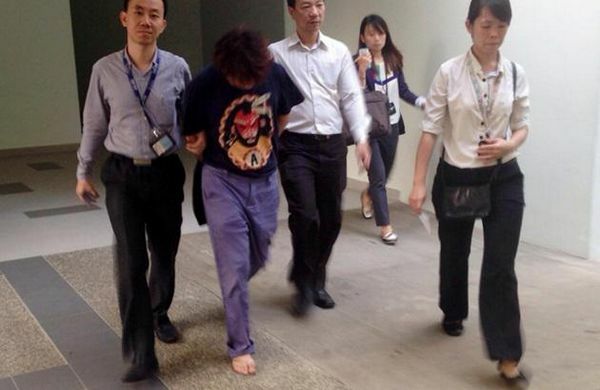 He has been remanded since Oct 31 last year. 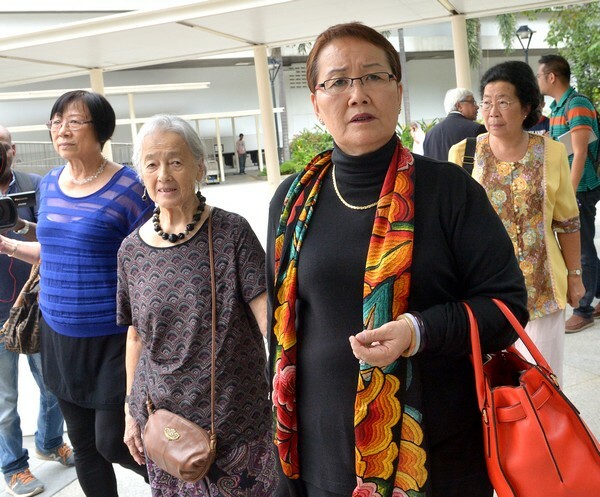 For more than two hours on the stand yesterday, former China tour guide Yang Yin gave his side of the story in a saga that has transfixed Singapore. 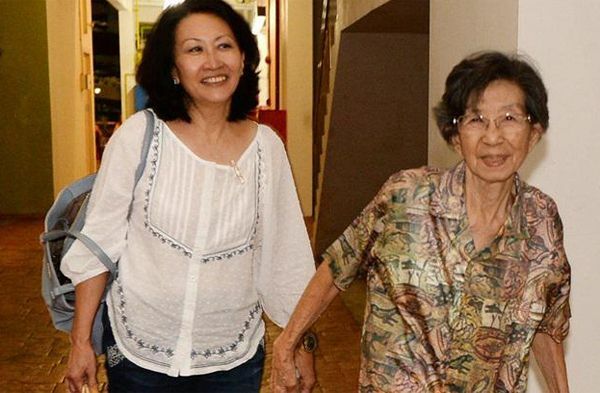 Accused of siphoning $1.1 million from a rich, childless widow, he told the court that 89-year-old Chung Khin Chun had gifted him the money and willed him the rest of her assets, worth an estimated $40 million and including a bungalow at Gerald Crescent, in exchange for his companionship. 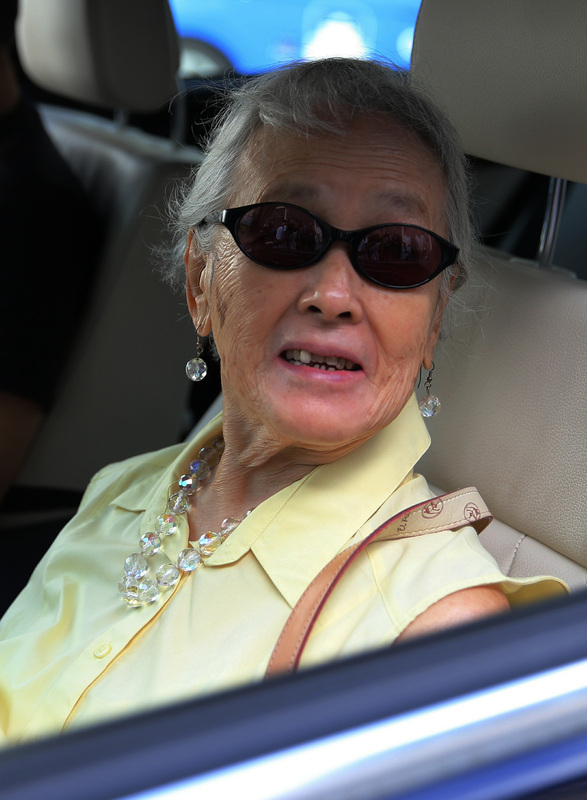 She saw him as the "grandson" she never had, he said. 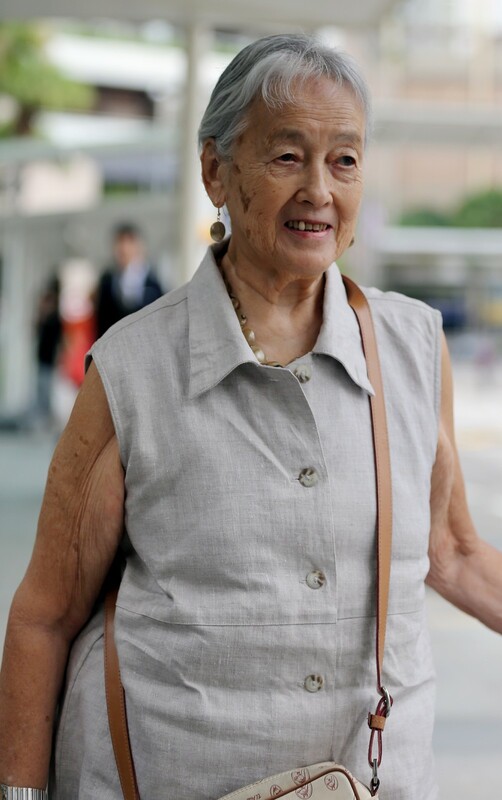 "I felt very lucky... She asked me to be by her side forever, not to leave her. 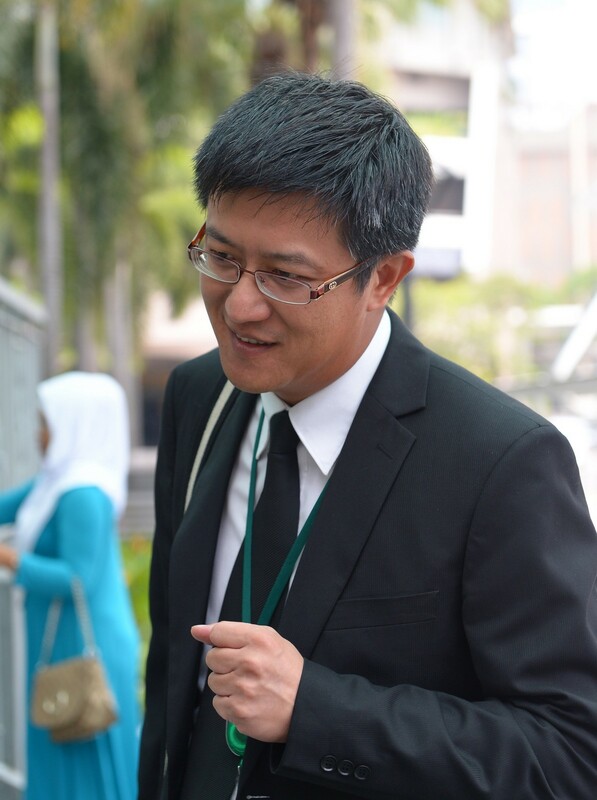 I agreed," said the 42-year-old, who in 2014 was sued by Madam Chung's niece Hedy Mok. 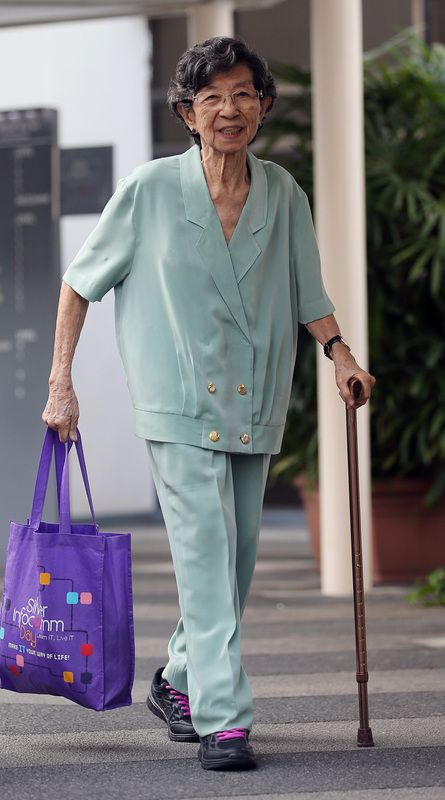 She claimed he had unduly influenced her aunt, who was diagnosed with dementia that year. 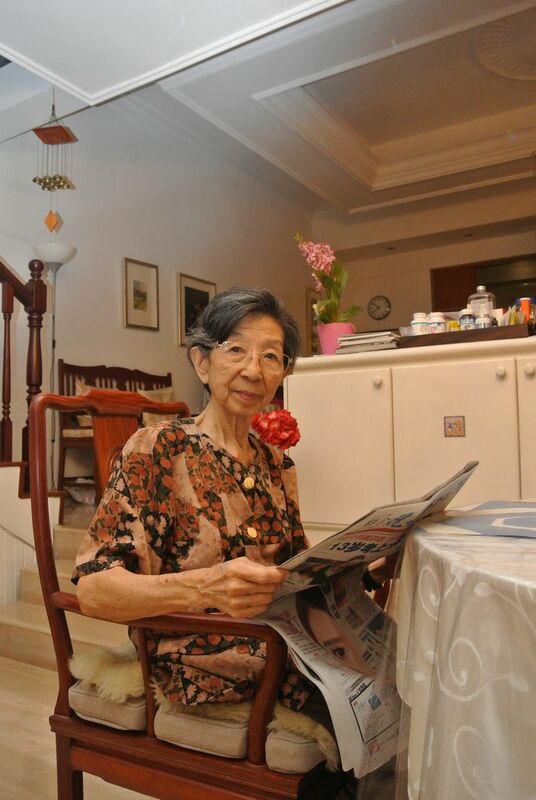 "In 2011, (Madam Mok) knew that Madam Chung had gifted me the money. 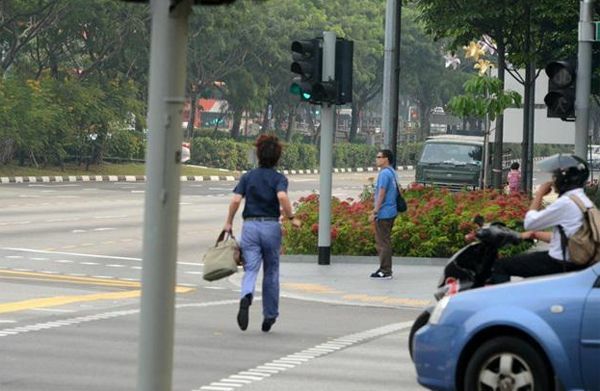 Why didn't she make the report then? 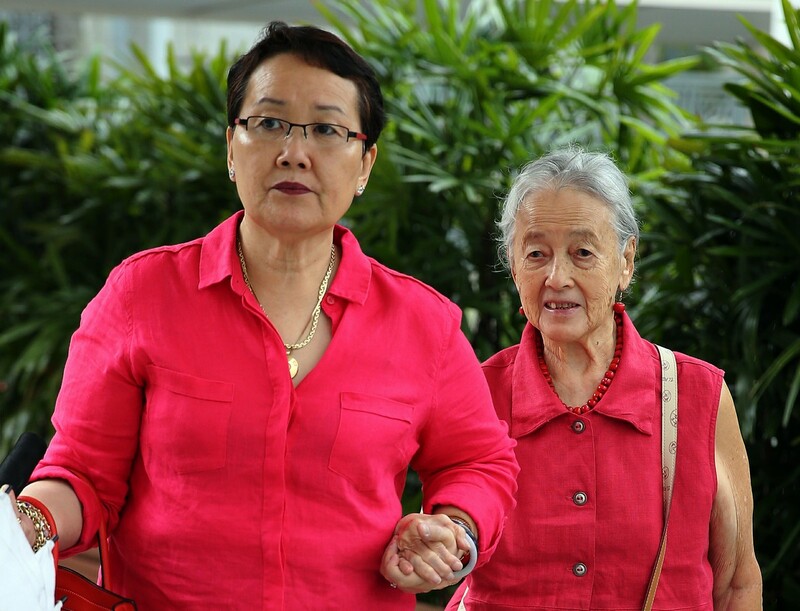 Madam Chung was still clear in her head, she could still testify," said Yang. 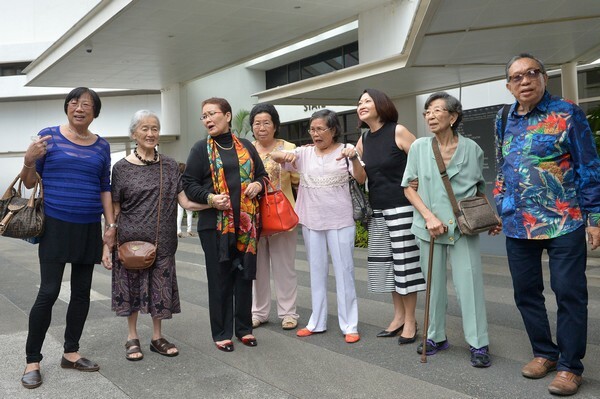 He also claimed that Madam Chung's close friend, Madam Chang Phie Chin, 86, who had lived with her, was her husband's mistress. 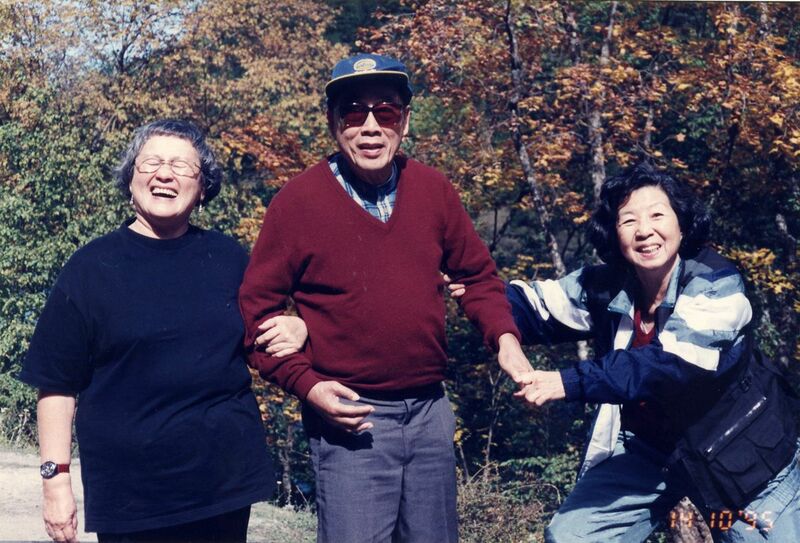 "This is a secret in their family," said Yang. 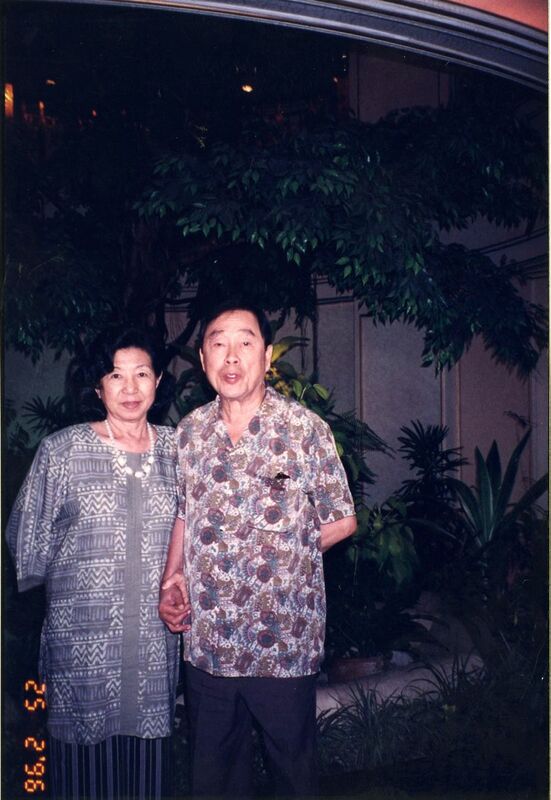 Yang said he first came to Singapore in 2006 for a travel fair, where he met Madam Chung and her husband, Dr Chou Sip King, who died in mid-2007. 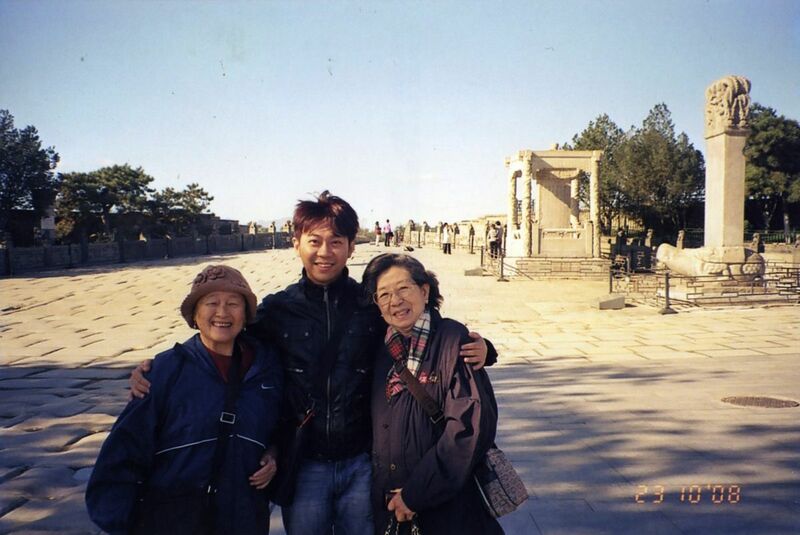 Madam Chung and Madam Chang met him again when they went to Beijing for a holiday in end-2008. 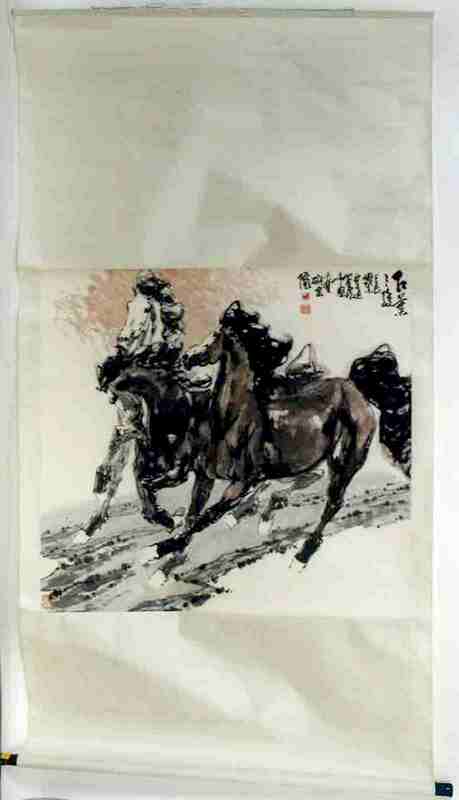 There, Yang got closer to Madam Chung, who asked him to call her daily after her return. 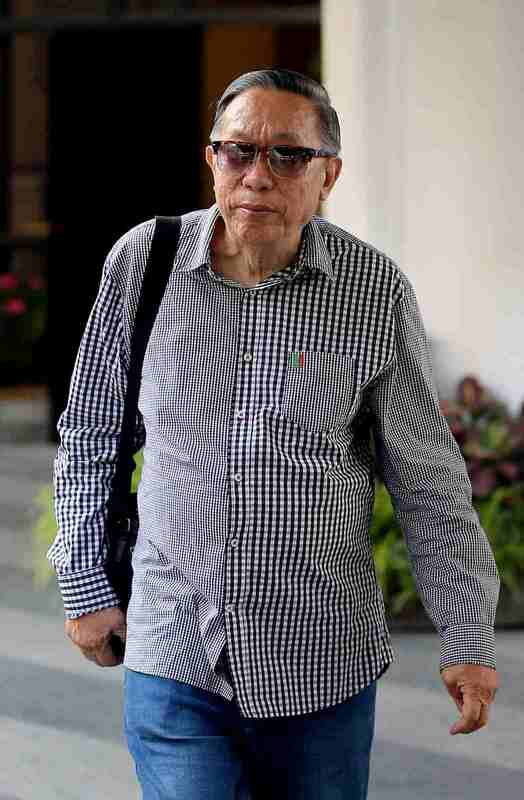 Picture of witness Tan It Koon, leaving the State Courts, friend of Madam Chung Khin Chun. 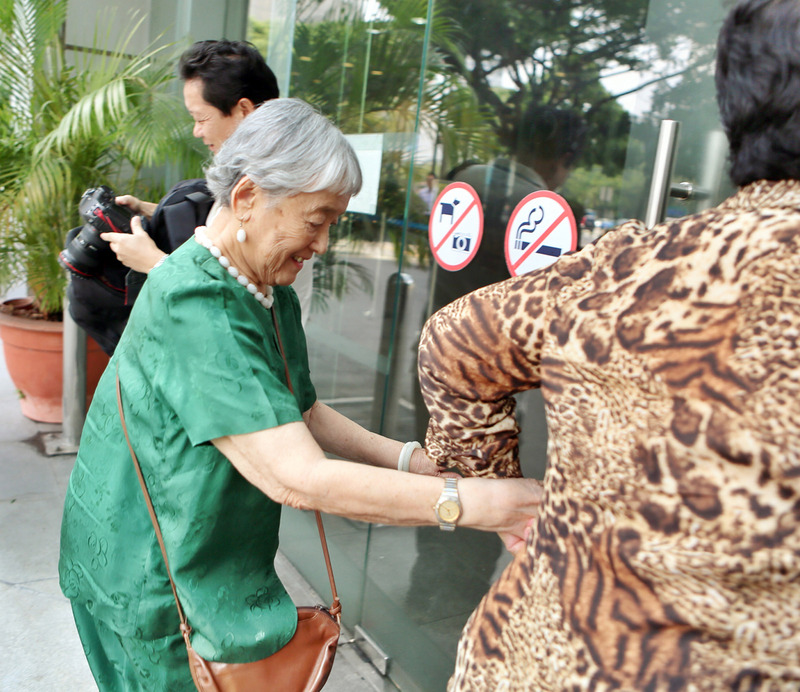 Picture of witness: Chang Phie Chin, arrives at State Courts, friend of Madam Chung Khin Chun. 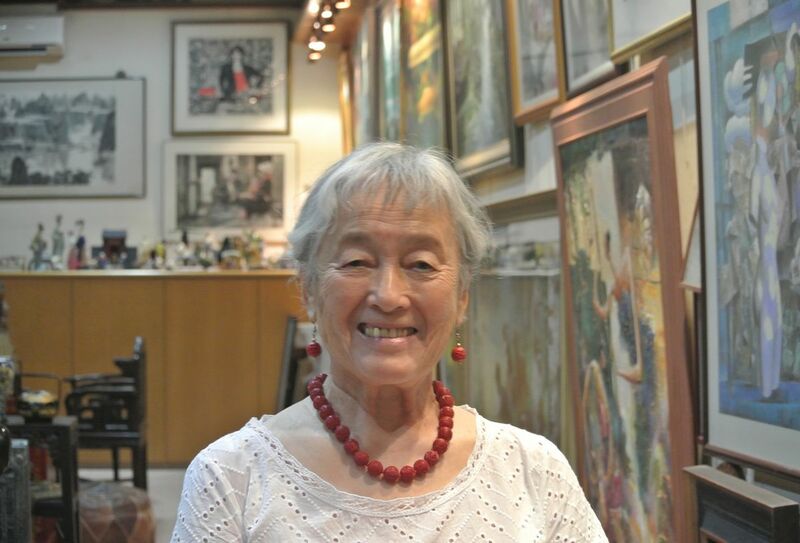 Dr Tan It Koon took the stand yesterday and testified that he was the one who bought one of the paintings on behalf of Madam Chung in 1990. 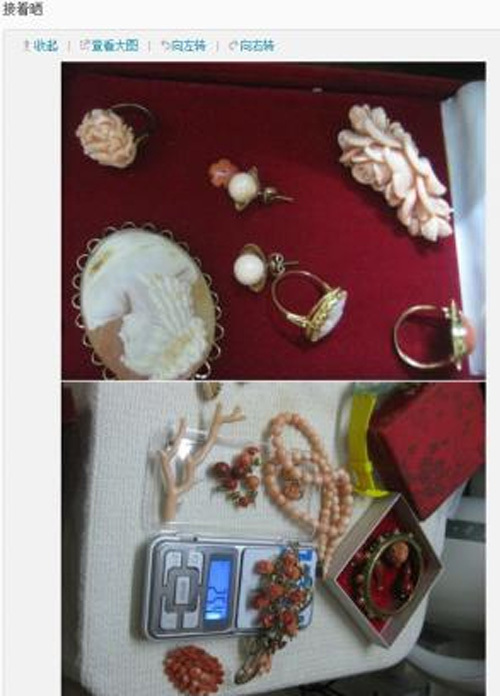 It cost $1,680 and was from Bras Basah Complex. 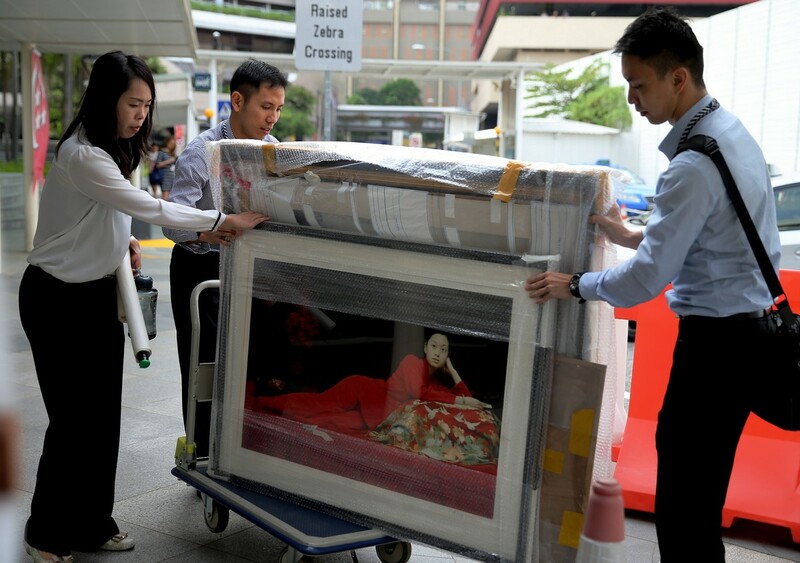 Two of the six paintings that Yang Yin claimed to have bought on Madam Chung's behalf for a total of some $600,000. 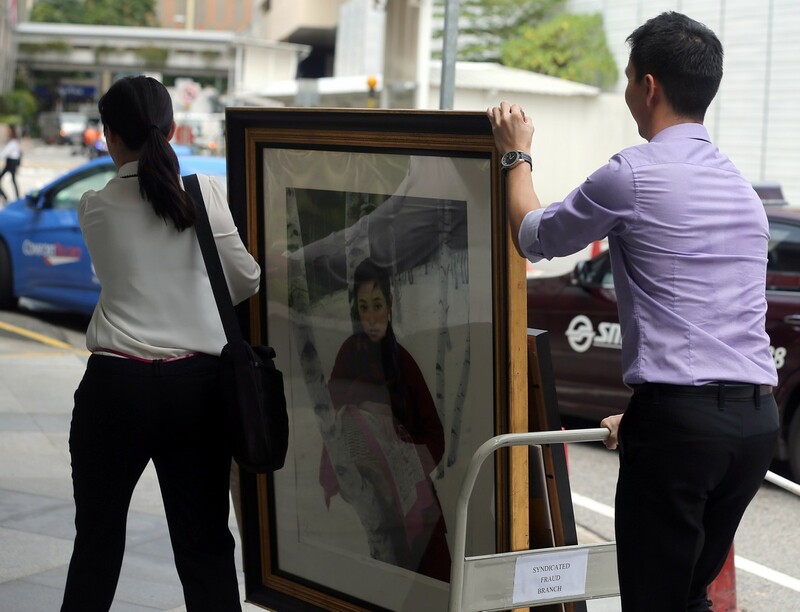 Bewildered - that was how an OCBC Bank relationship manager, Ngoh Boon Leong, described his reaction when Yang Yin asked for $600,000 in $10,000 bills as collateral to purportedly open an art gallery in Hong Kong. 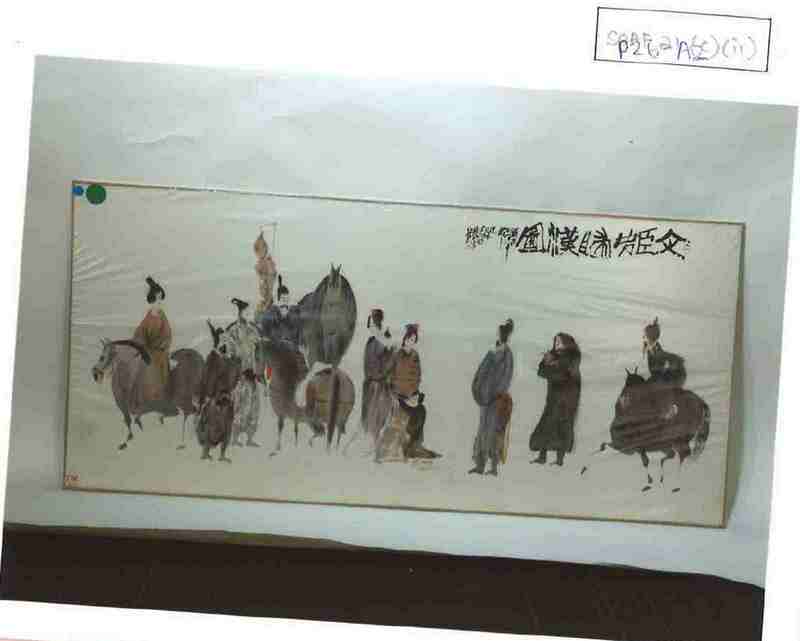 Yet the most eye-catching piece of evidence presented in court on July 1 was a Chinese painting. 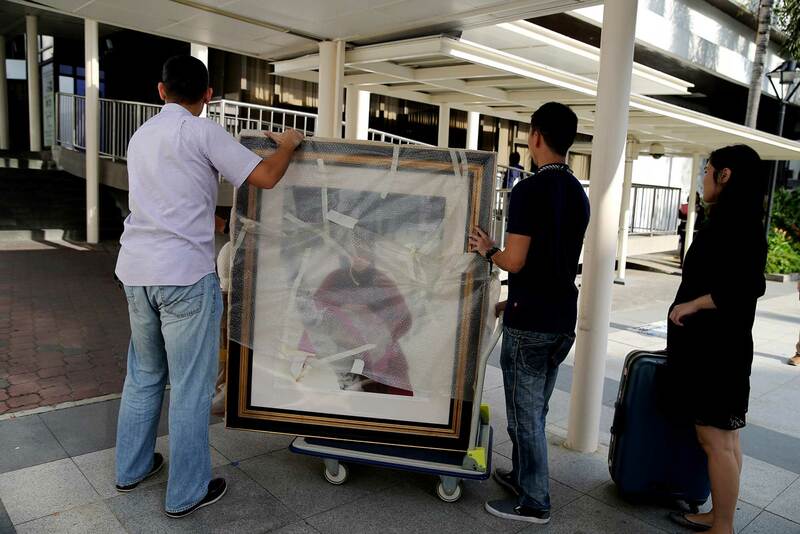 Yang claims he bought the painting for the elderly woman, Madam Chung Khin Chun, for $500,000. 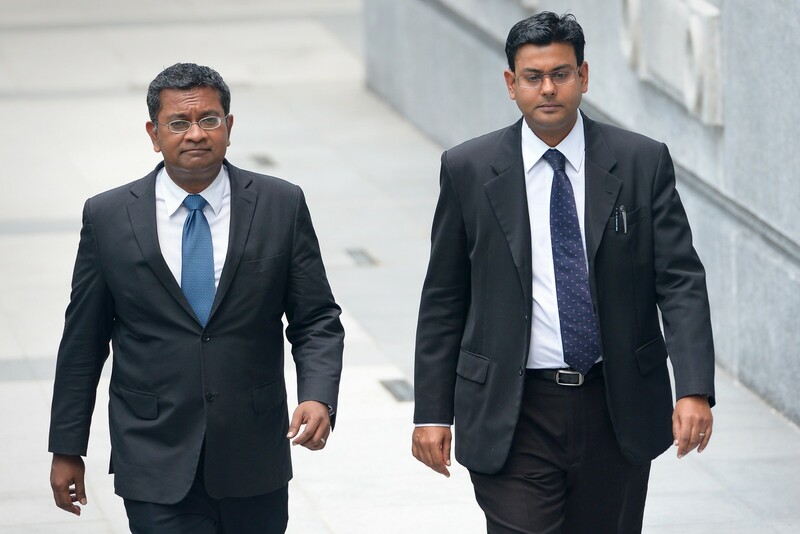 But the prosecution said such a claim only shows that the 42-year-old was lying. 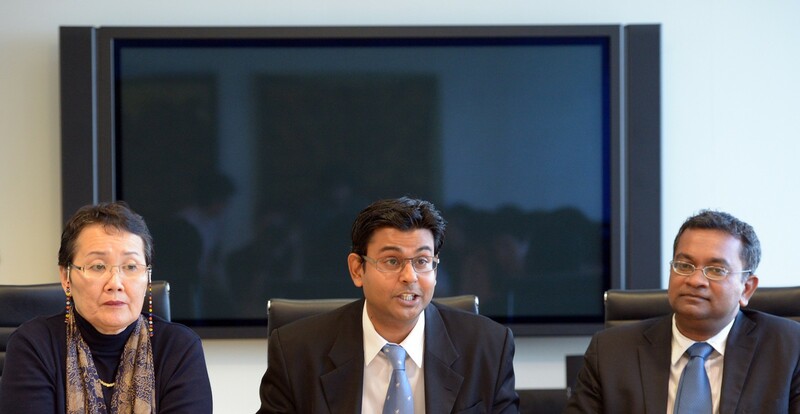 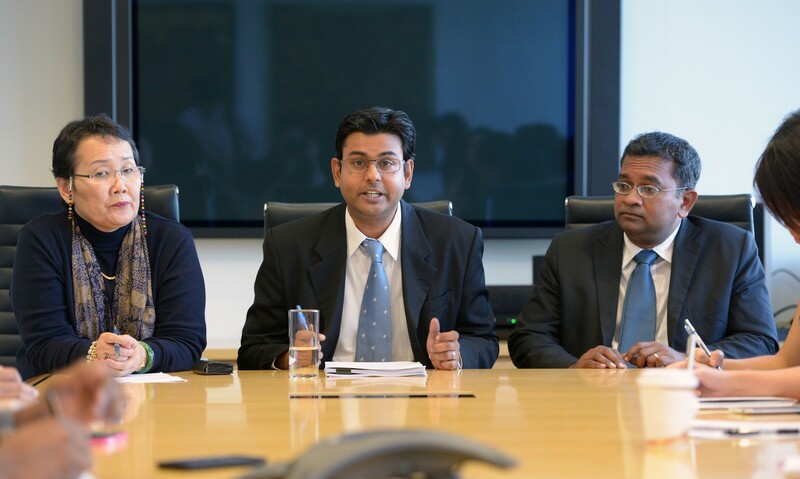 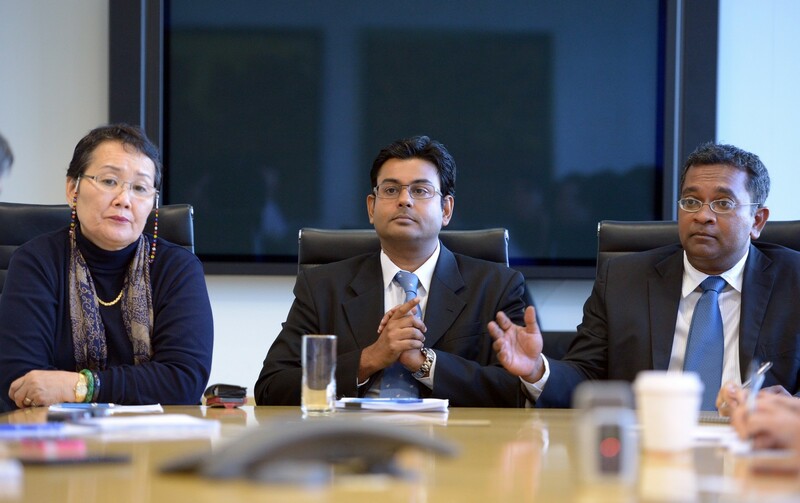 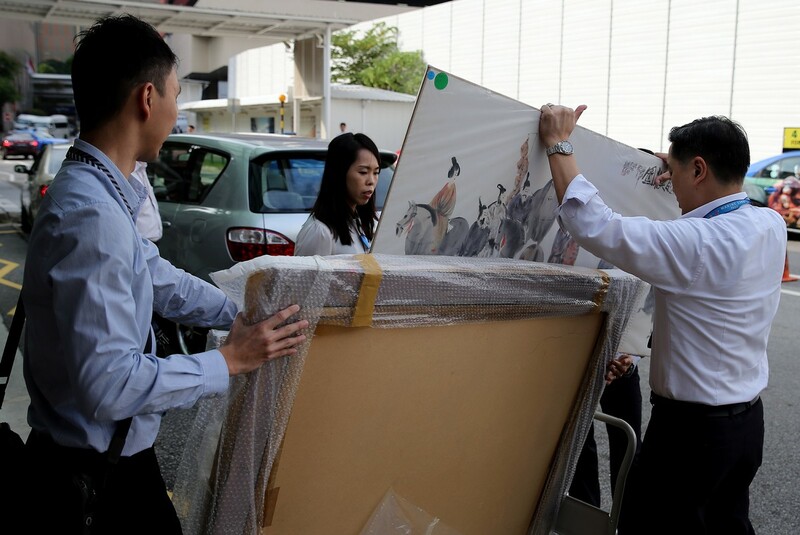 DPP Sanjiv Vaswani told the court on July 1 that Yang's claim that he withdrew $600,000 in 2012 to register a business in Hong Kong stood in "stark contrast" to documents filed in the civil suit, in which he stated it was used to purchase six paintings. 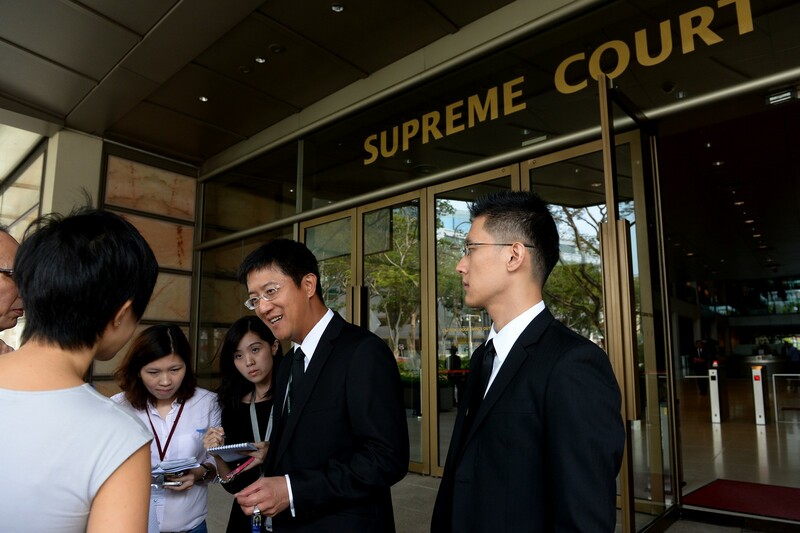 The prosecution also said the withdrawal came after Yang had liquidated over $1.3 million worth of Madam Chung's unit trust investments. 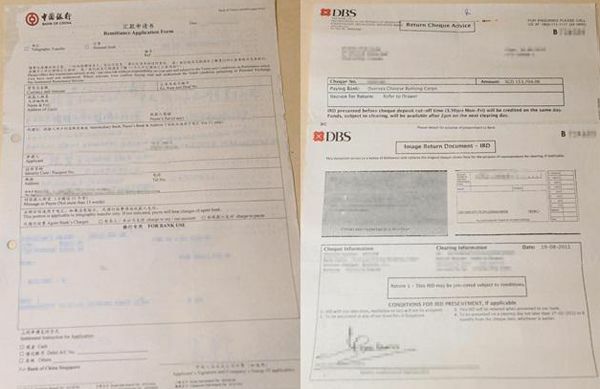 According to the agreed statement of facts, the sum of $500,000 was transferred several times between Madam Chung's and Yang's accounts before it was finally deposited into Yang's father's Bank of China account in 2010. 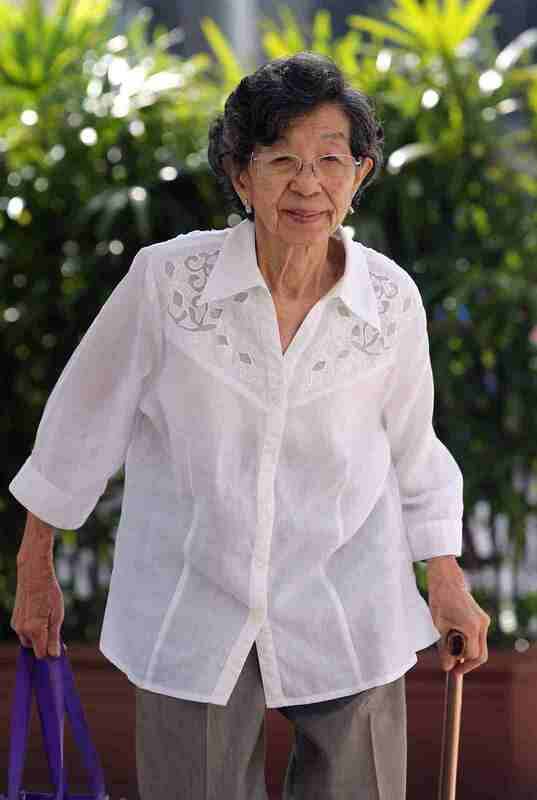 Madam Chung's long-time friend, Madam Chang Phie Chin (pictured here), also testified on July 1. 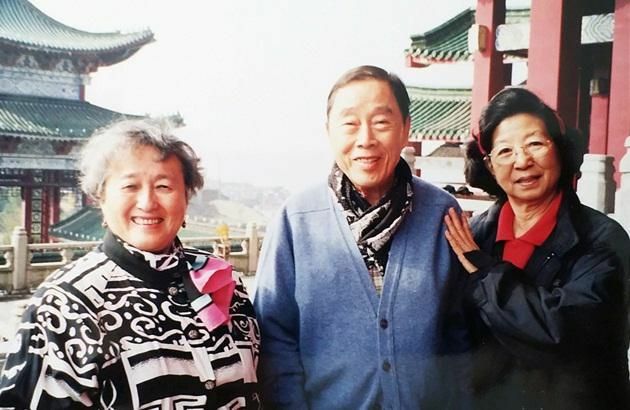 The 86-year- old, who used to live with Madam Chung, described how Yang and Madam Chung had kept in touch even after a trip to Beijing in 2008. 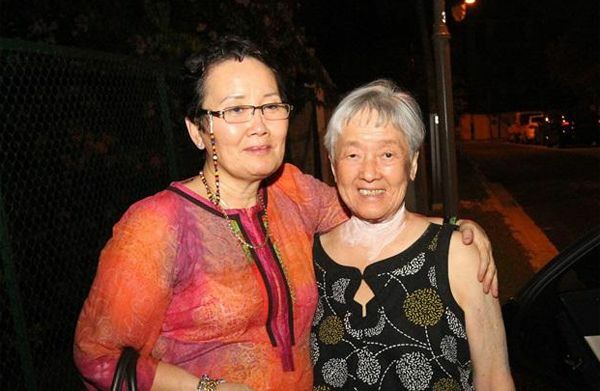 Both women went together, and Yang was their tour guide. 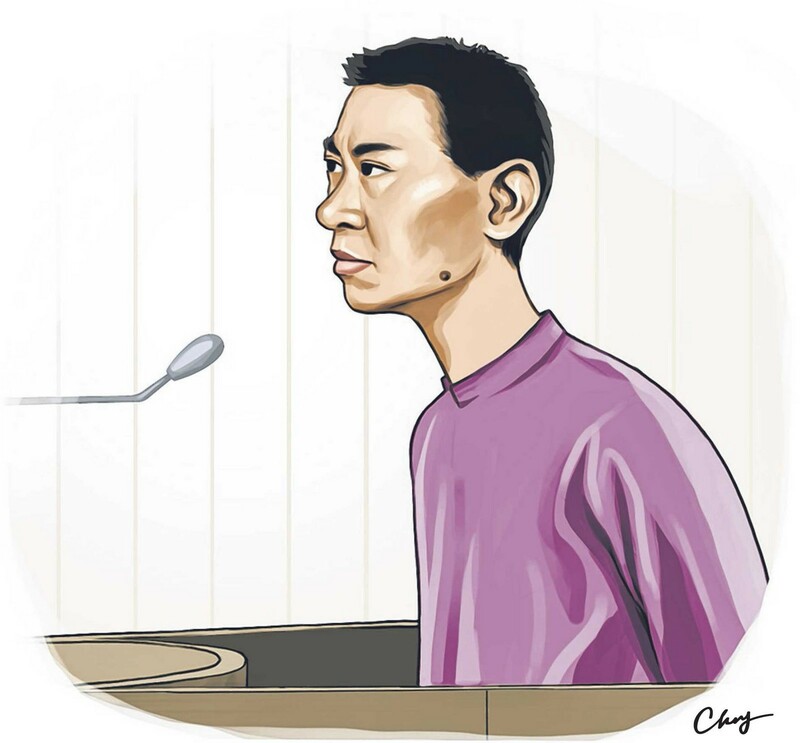 Yang, 42, was standing trial yesterday for allegedly duping the authorities into granting him permanent residency. 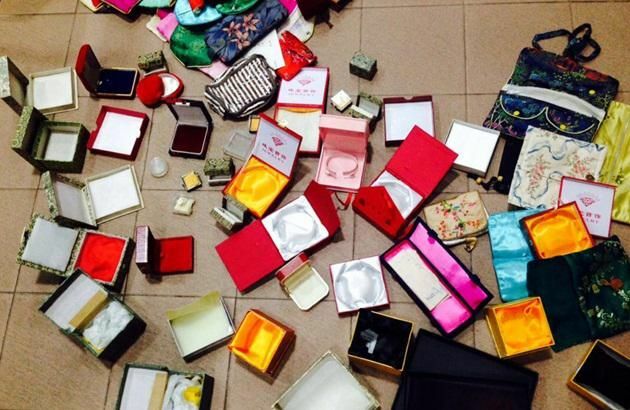 He has also been charged with falsifying receipts and stealing $1.1 million from Madam Chung. 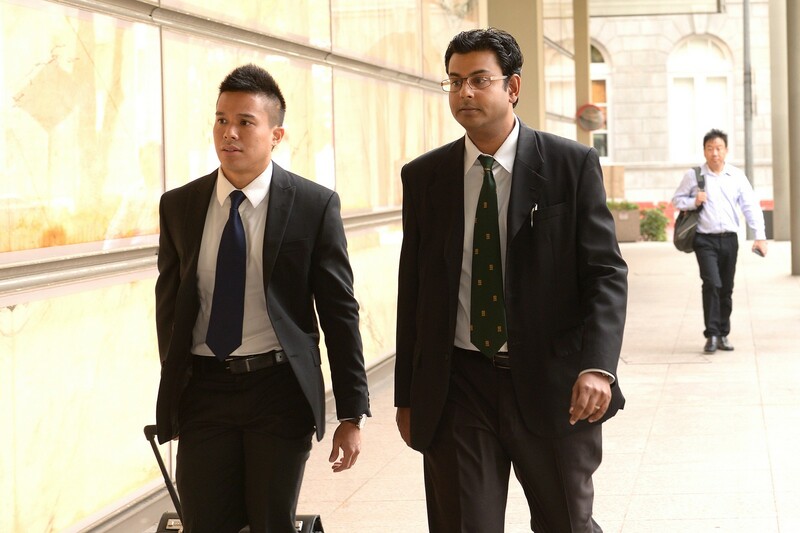 Yang looked tense as he was led into the courtroom through a side door. 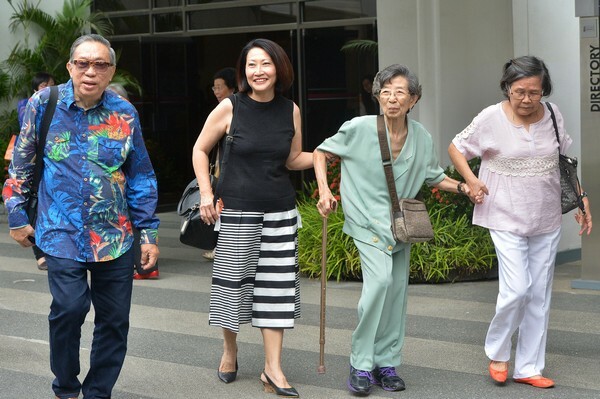 He scanned the room for familiar faces and in the barely filled public gallery, he spotted two - Madam Chung and Madam Mok. 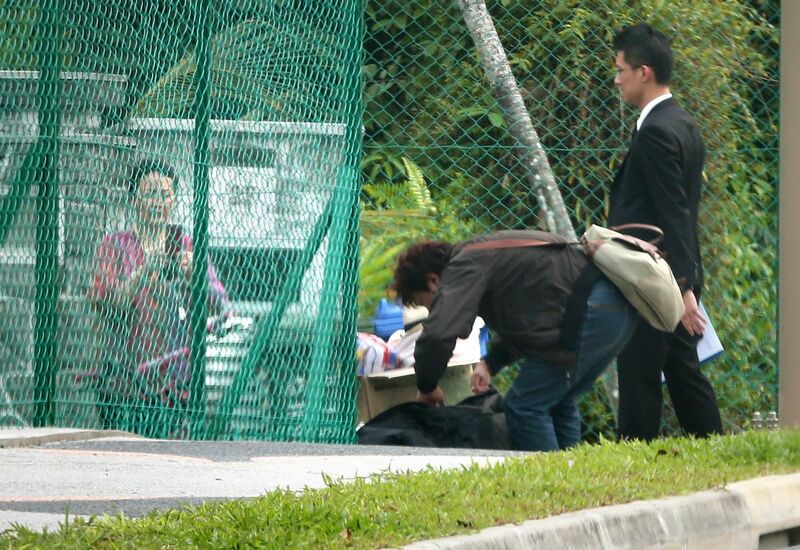 He tried to make eye contact and shuffled towards them, but Madam Mok waved him off and court marshals led him away. 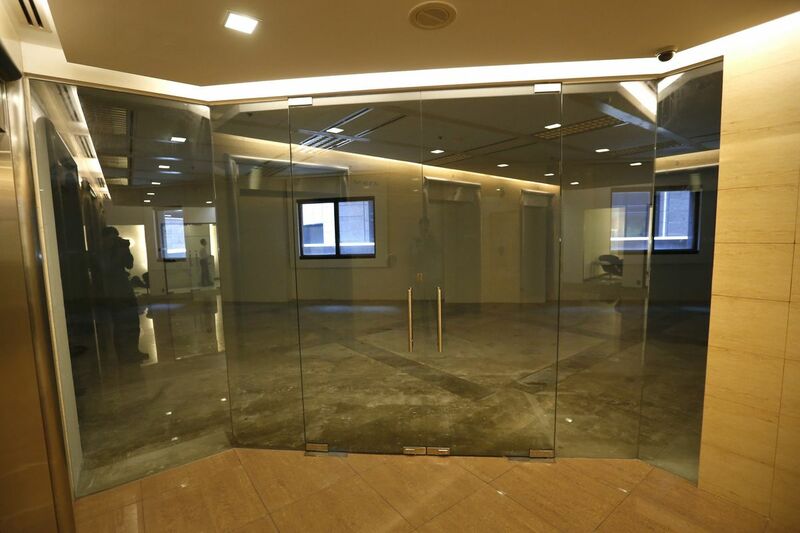 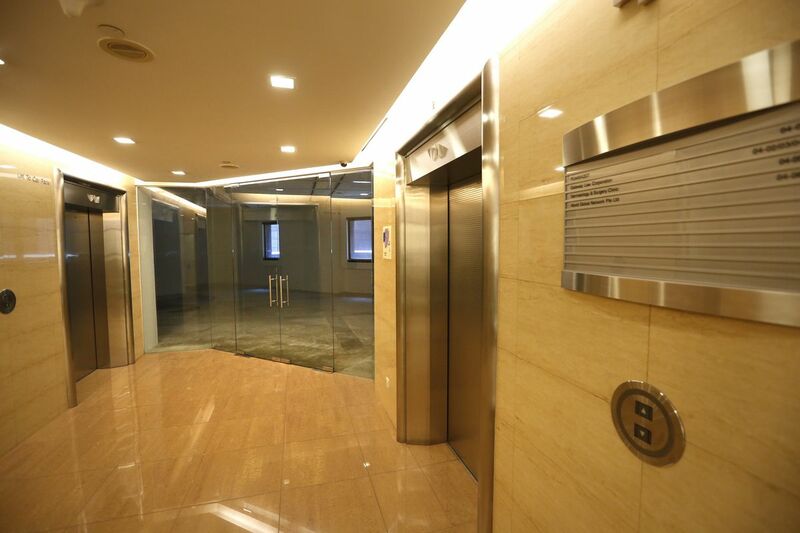 Back in March 2009, local recruitment firm Rikvin helped Mr Yang set up the Young Music and Dance Studio, with him as managing director. 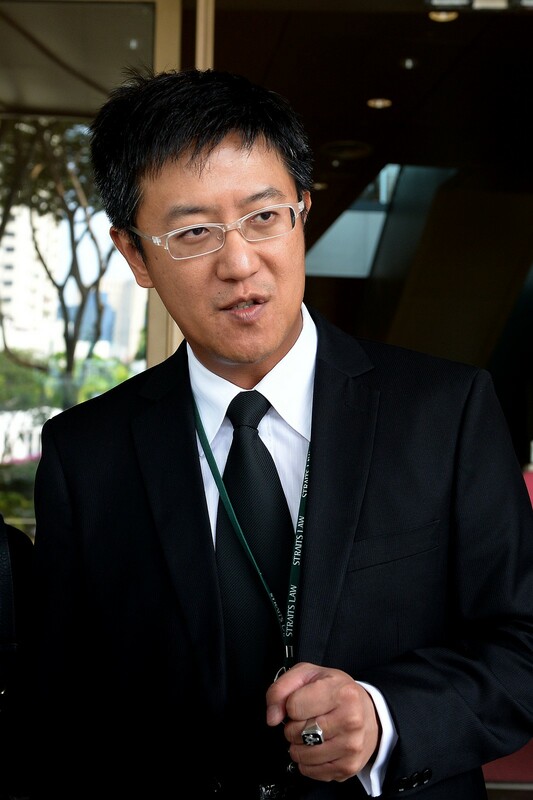 A month later, the firm applied for an EP on Mr Yang's behalf, which he didn't get. 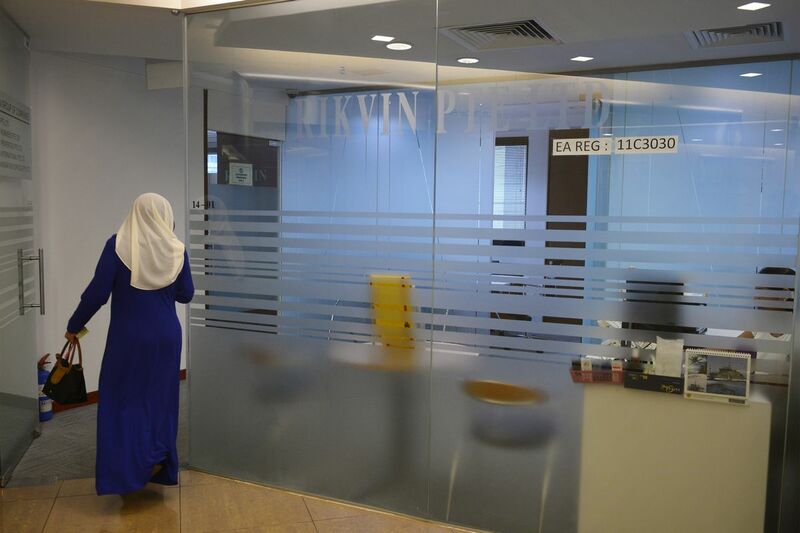 But Rikvin's second application in September was successful, according to The Straits Times' checks. 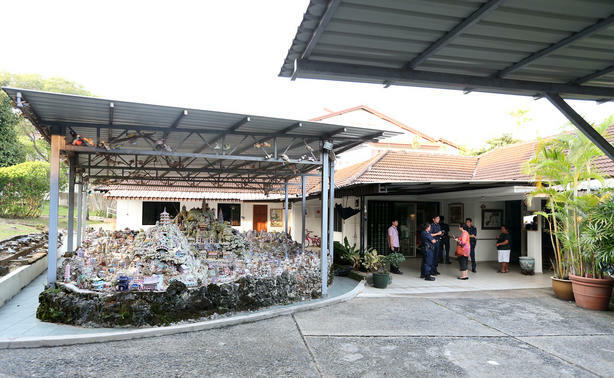 By then, Mr Yang was already ensconced in Madam Chung's $30 million Yio Chu Kang home. 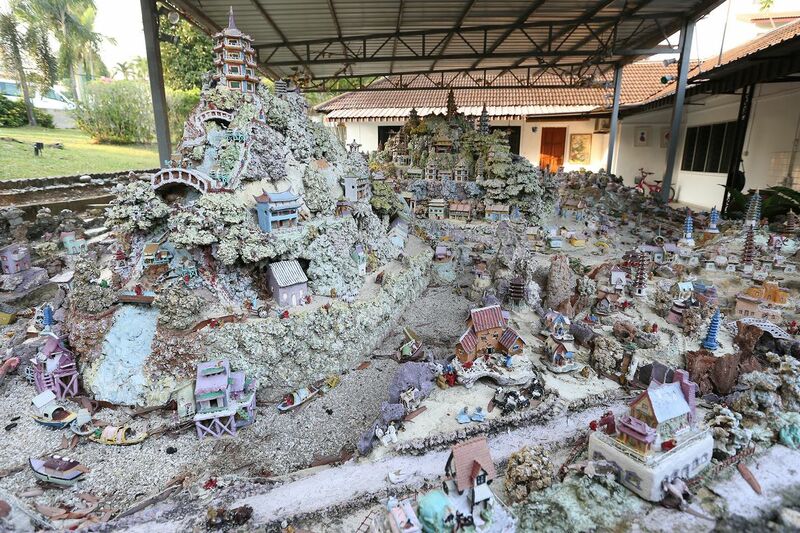 The rest of his family moved in last year. 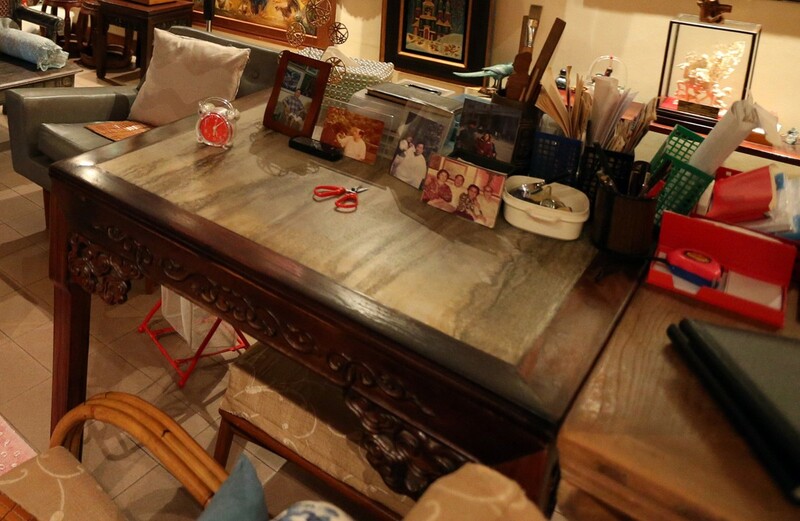 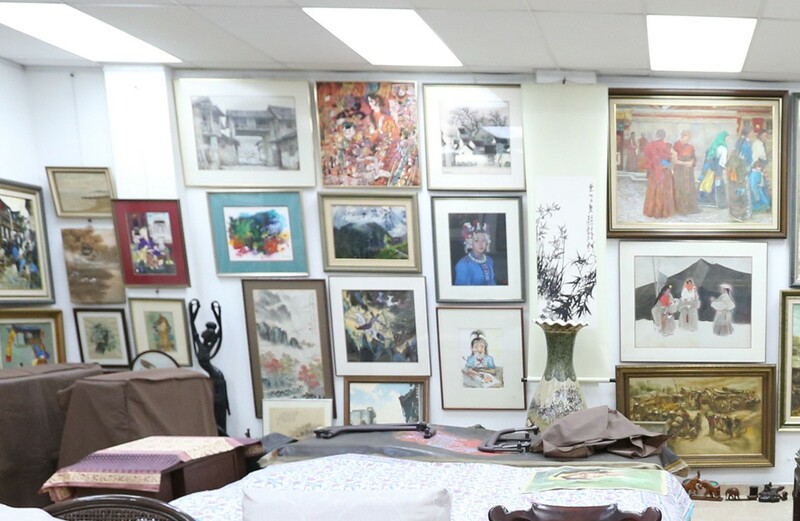 Madam Chung Khin Chun, 87, at her private art gallery in her Gerald Crescent bungalow. 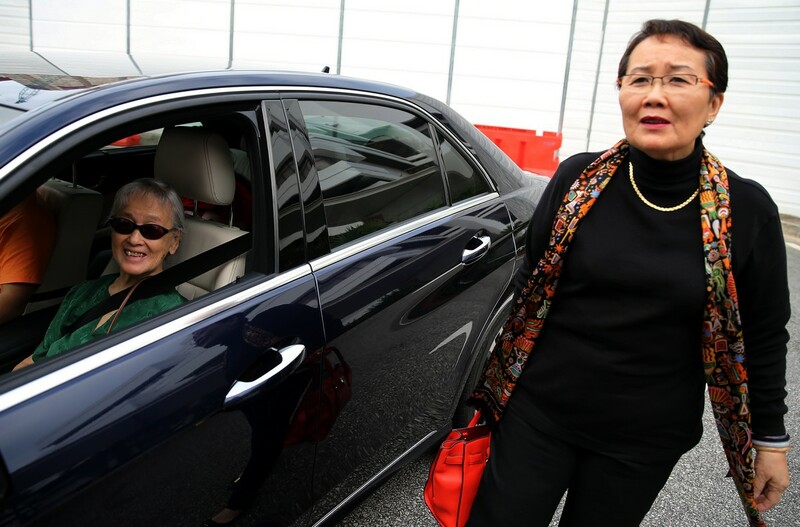 The multi-millionaire widow allegedly manipulated into handing control of her assets to a former tour guide from China is now helping the police with investigations. 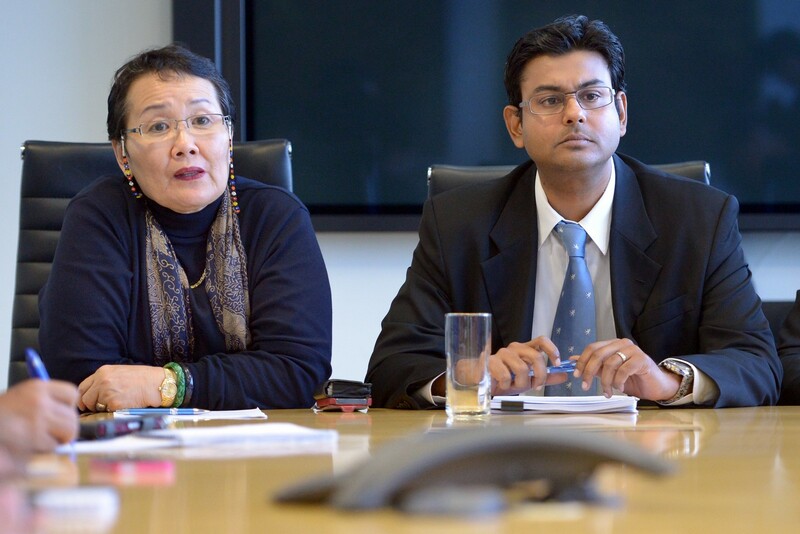 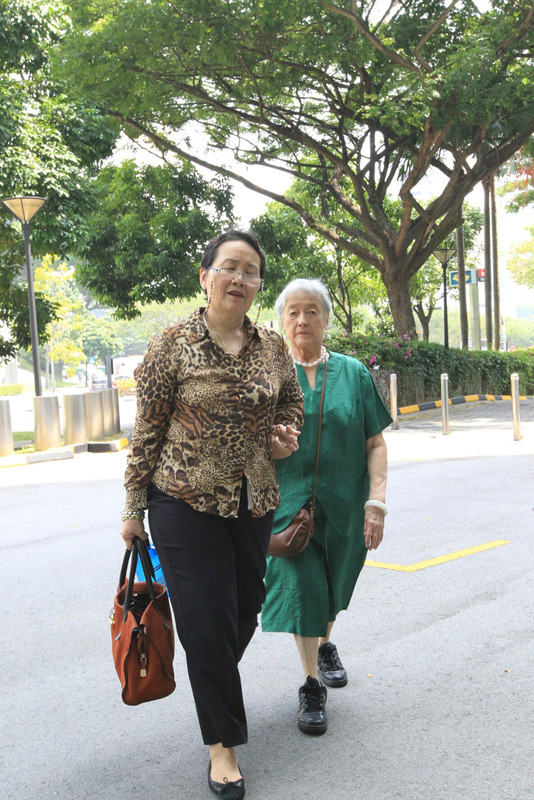 Madam Chung was applying to terminate the Lasting Power of Attorney she gave Mr Yang in 2012. 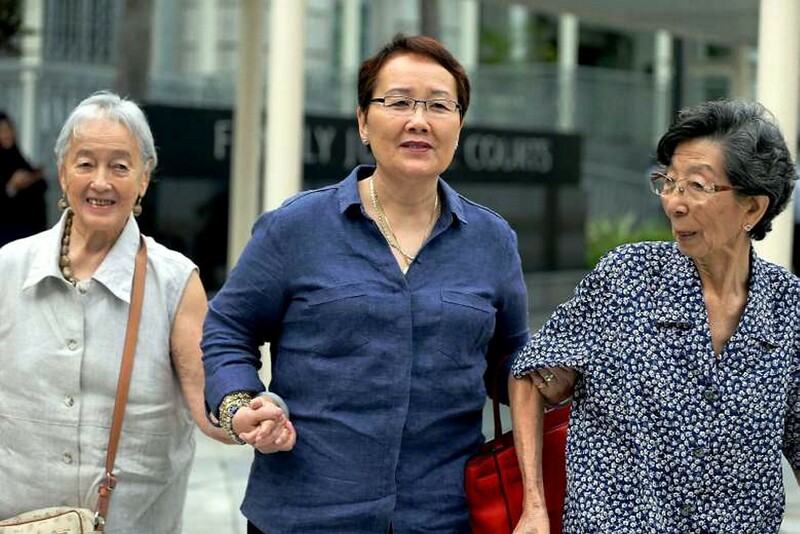 Her niece Madam Mok also began separate court proceedings last month to seek damages from Mr Yang for allegedly abusing her aunt's trust, and to revoke the LPA. 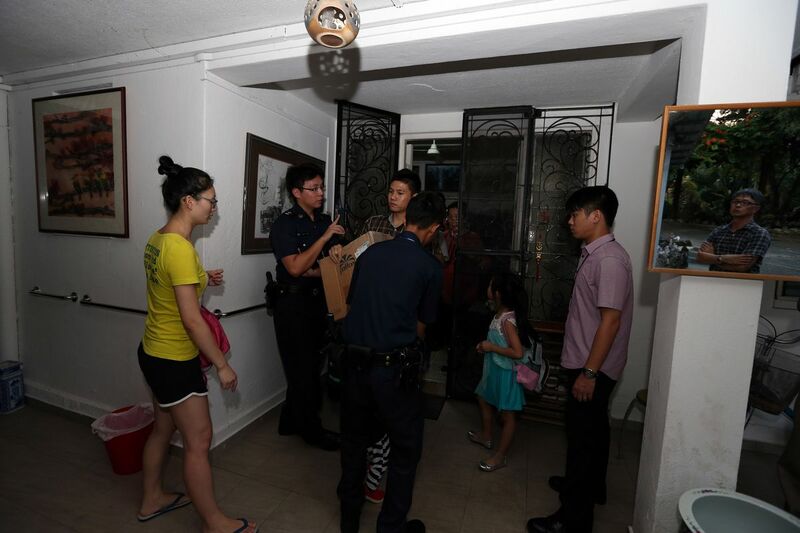 60-year-old travel agency owner Hedy Mok (in orange pink and talking to the police), the niece of of an 87-year-old retired physiotherapist Madam Chung Khin Chun, together with a group of neighbours, family and friends, evict guardian's family from the house at 2F Gerald Crescent as she alleges he tricked aunt for own gain. 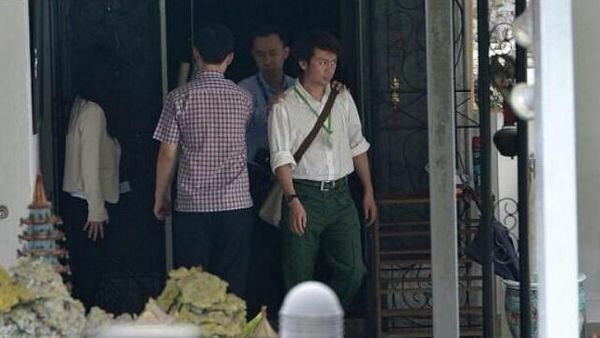 Former China tour guide Yang Yin was called back by the Commercial Affairs Department to assist with investigations on Friday morning. 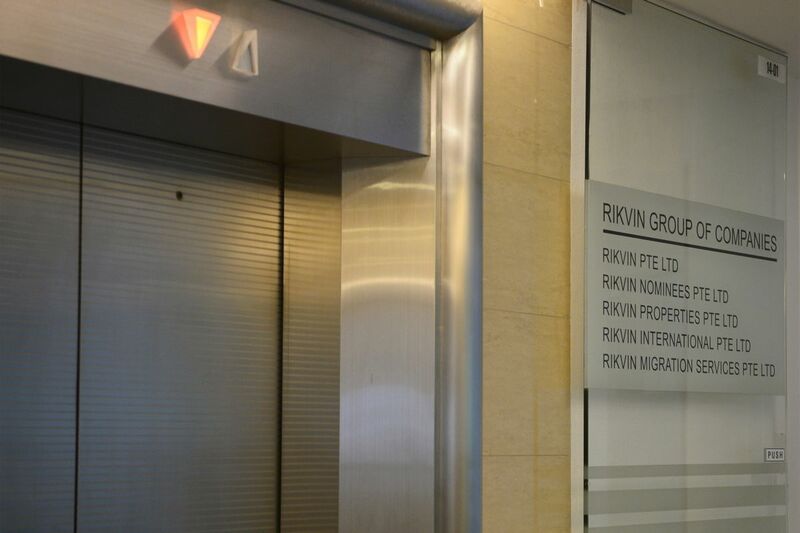 The 40-year-old was arrested for criminal breach of trust on Wednesday. 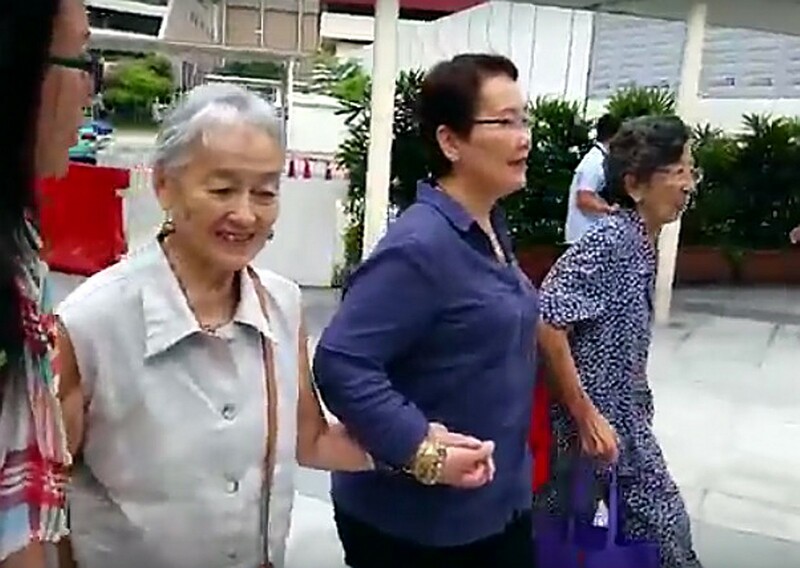 He was taken back to the Gerald Crescent bungalow - where he had lived with 87-year-old widow Madam Chung Khin Chun - on Friday afternoon and was spotted with four plainclothes police officers. 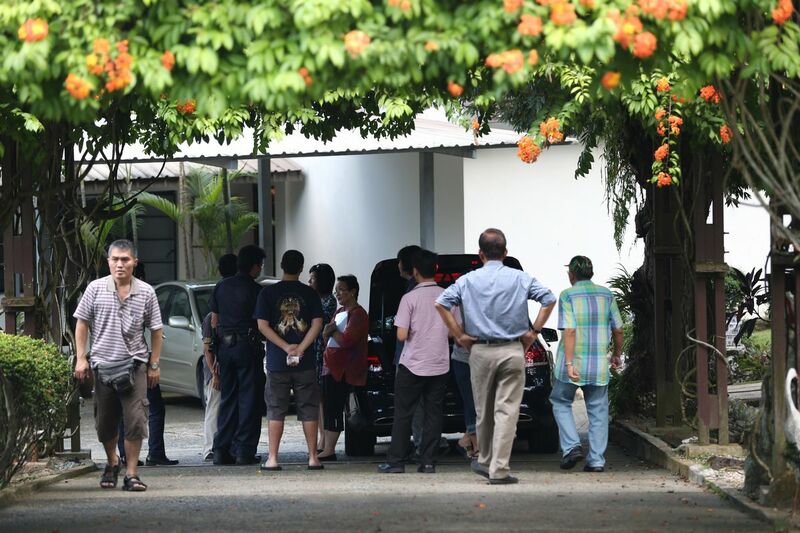 Two police vehicles were parked at the bungalow. 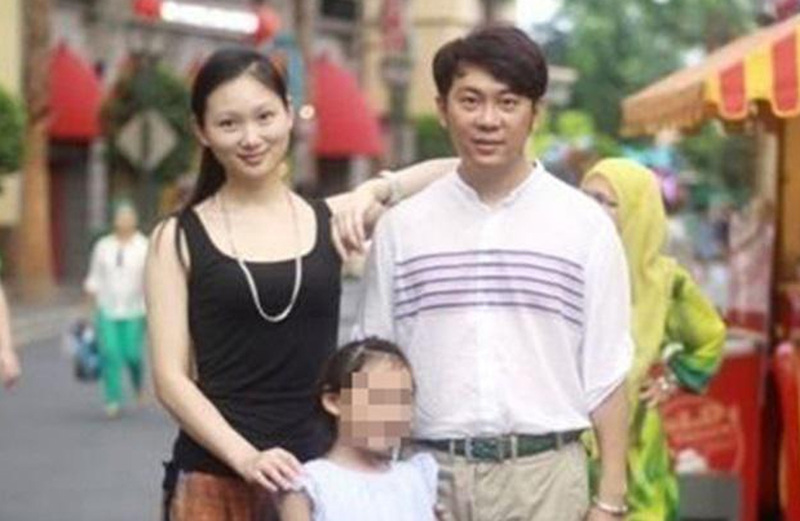 Photographs showcasing the lifestyle of former tour guide Yang Yin and his family have surfaced online. 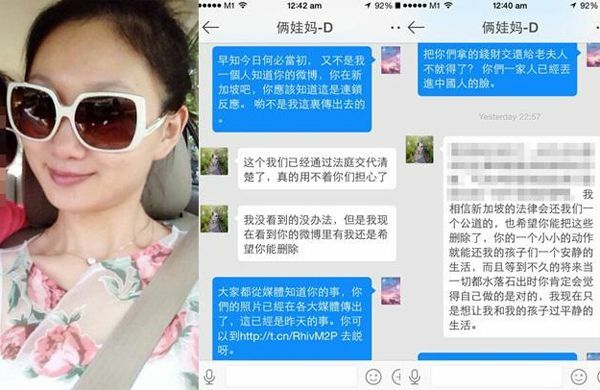 Posts by Madam Weng on her Weibo account flaunted presents that Mr Yang had bought for her, one of which is a Prada bag which reportedly costs more than $3,000. 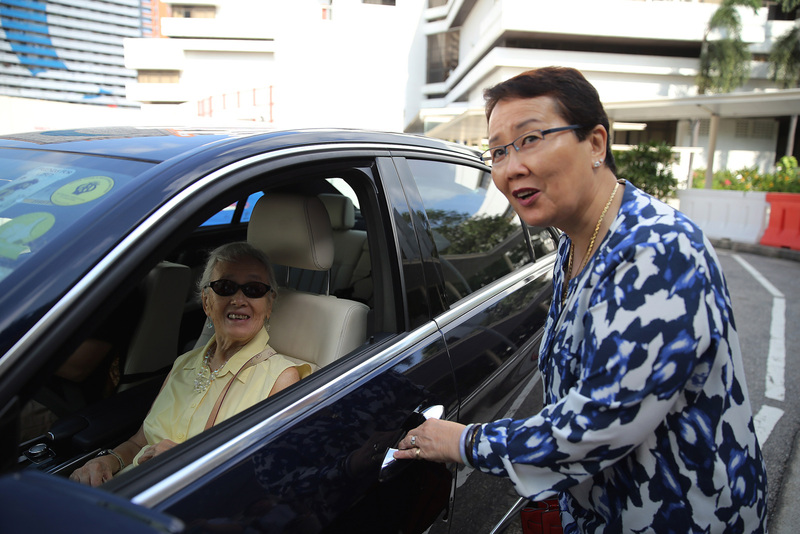 Madam Weng also received a digital SLR camera from Mr Yang. 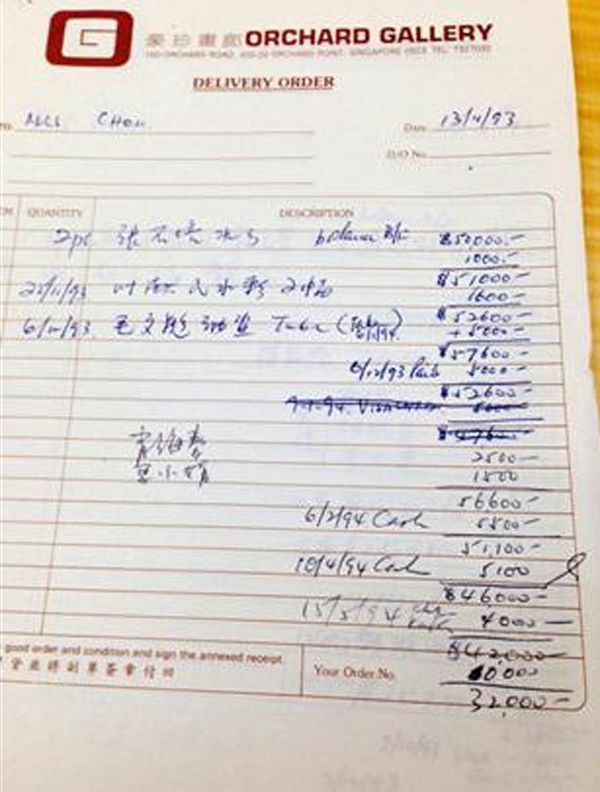 A branded wallet which Madam Weng had bought for her husband. 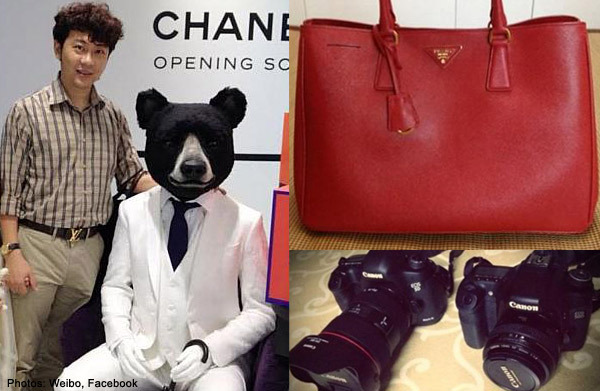 The pair uploaded photos of their holidays in Hong Kong and Japan and lavish spending. 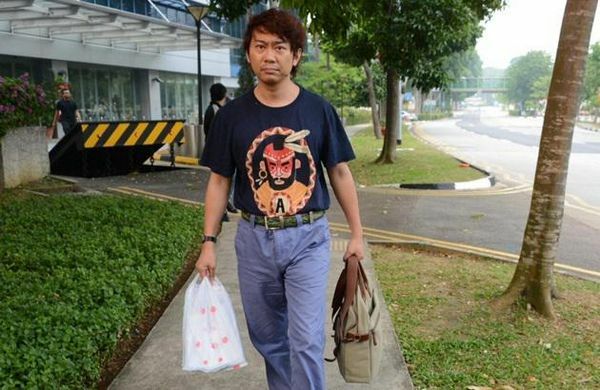 Skincare products Mr Yang reportedly bought for himself, which cost more than $2,000. 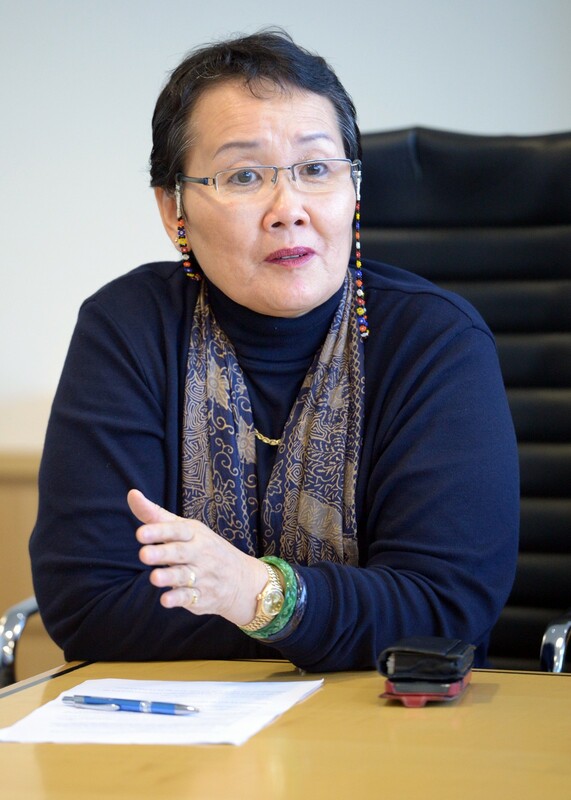 Madam Weng also stated that she loves branded lipsticks. 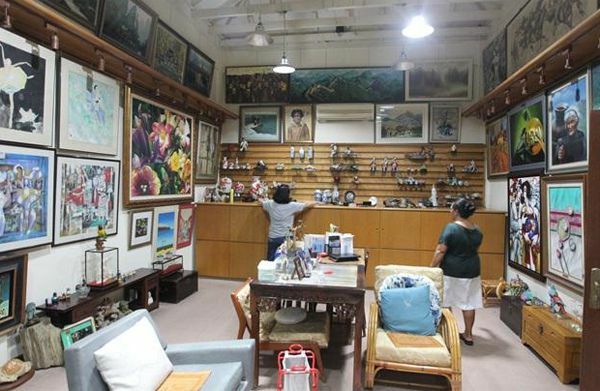 Photographs showcasing the lifestyle of former tour guide Yang Yin and his family have surfaced online, amid his legal battle for the control of the assets of a wealthy 87-year-old widow. 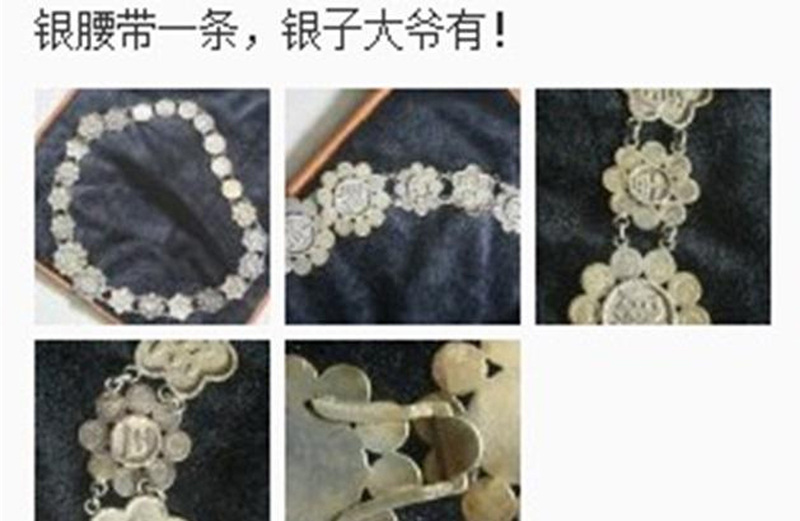 In a post on Weibo, the Chinese national wrote: "Let my cash vault grow towards $50 million! 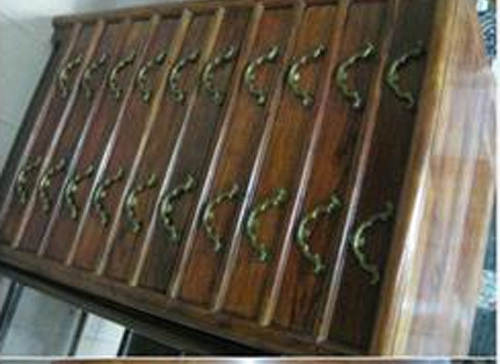 Come on, money, I love you!" 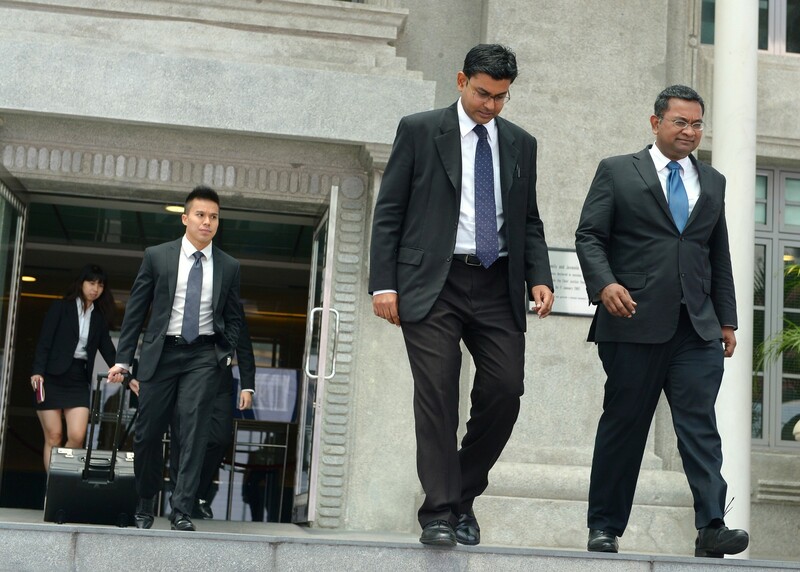 in Sept 2012. 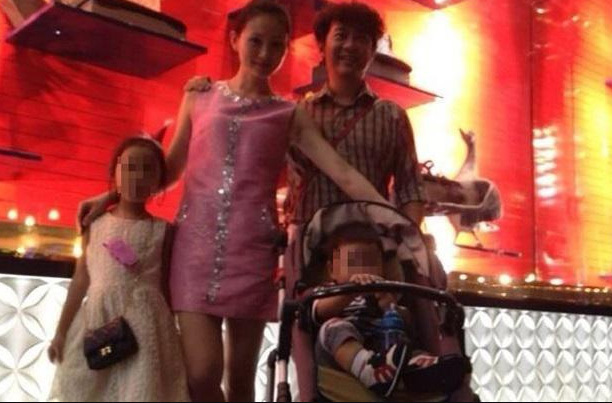 Photographs online show Yang and his family living a lavish lifestyle, including wearing expensive branded clothes such as a Louis Vuitton belt. 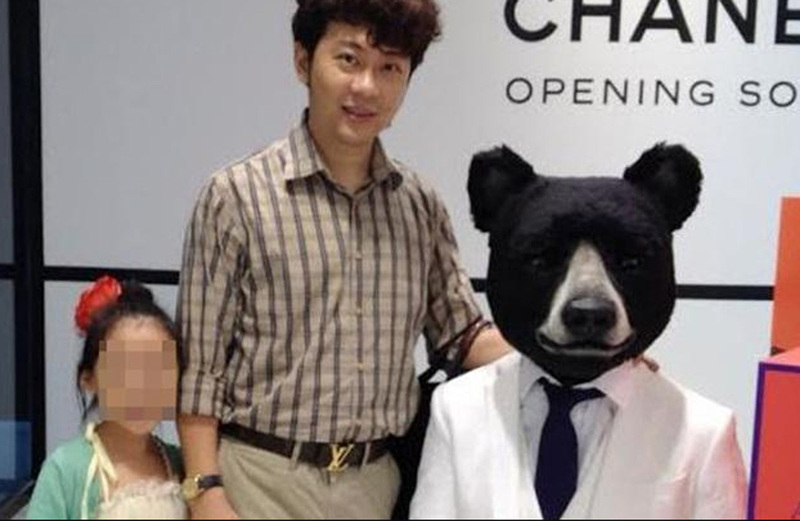 Yang Yin and his wife Madam Weng Yandan uploaded photos of their holidays in Hong Kong and Japan, as well as a dinner at Jumbo Seafood restaurant on Dempsey Hill and a visit to Universal Studios, Lianhe Wanbao reported. 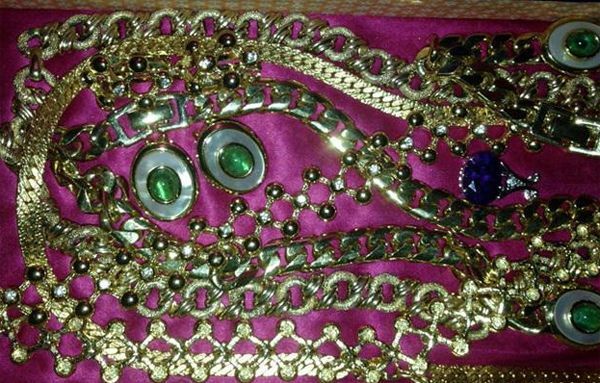 There were also photographs of expensive jewellery pieces. 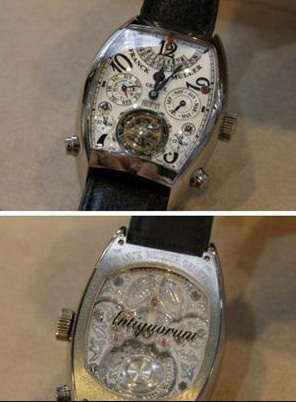 Mr Yang also uploaded photos of items such as a $14,000 Frank Muller watch he said he was planning to buy. 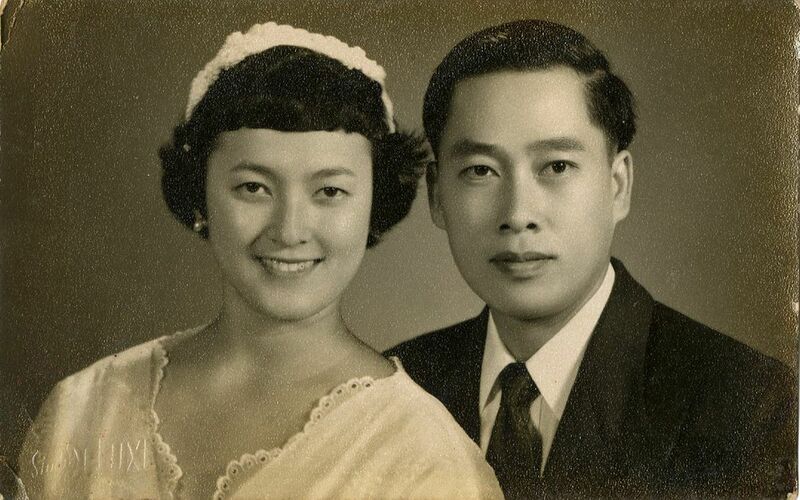 Lianhe Wanbao noted that of the hundreds of photographs uploaded by the couple, Madam Chung did not appear in a single one. 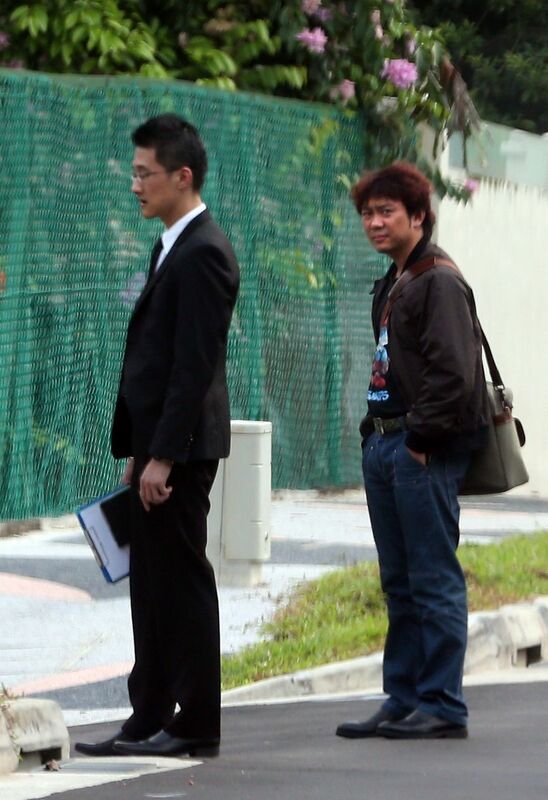 Yang Yin (R) and his lawyer (L) outside 2F Gerald Crescent. 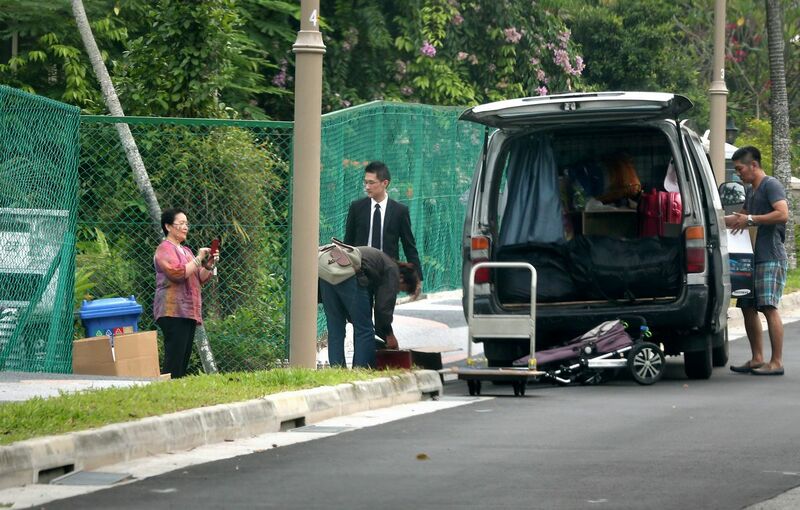 Mdm Hedy Mok (left) removes items belonging to Yang Yin (right) from the house at 2F Gerald Crescent. 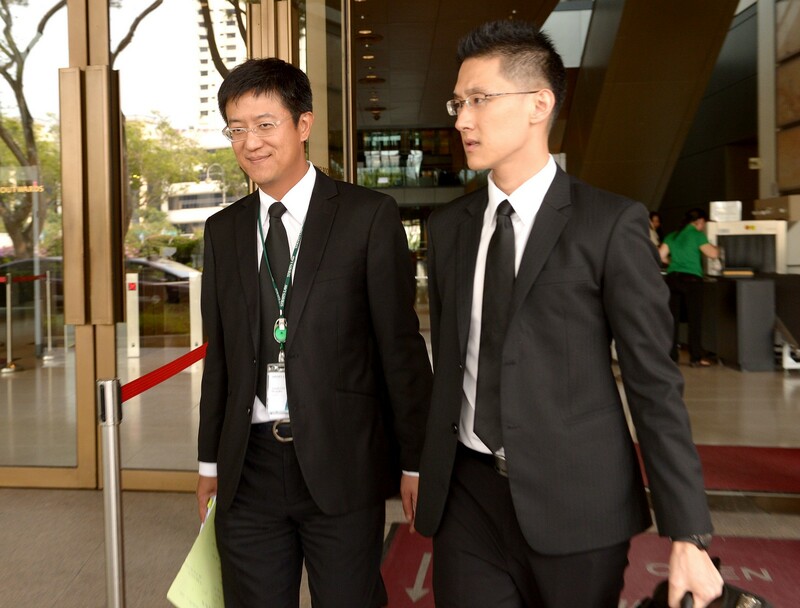 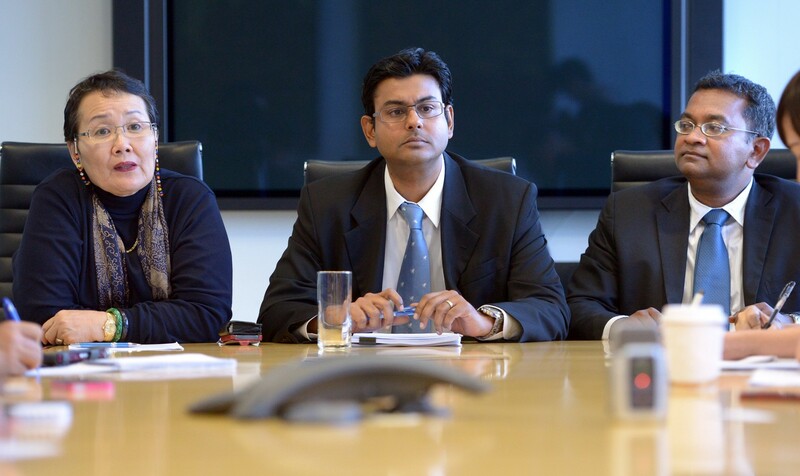 Yang Yin's lawyer (second from right) looks on. 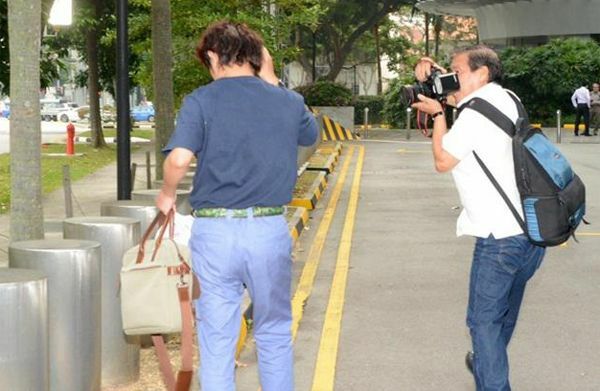 Mdm Hedy Mok (left) takes a picture of Yang Yin (bent over) together with his lawyer. 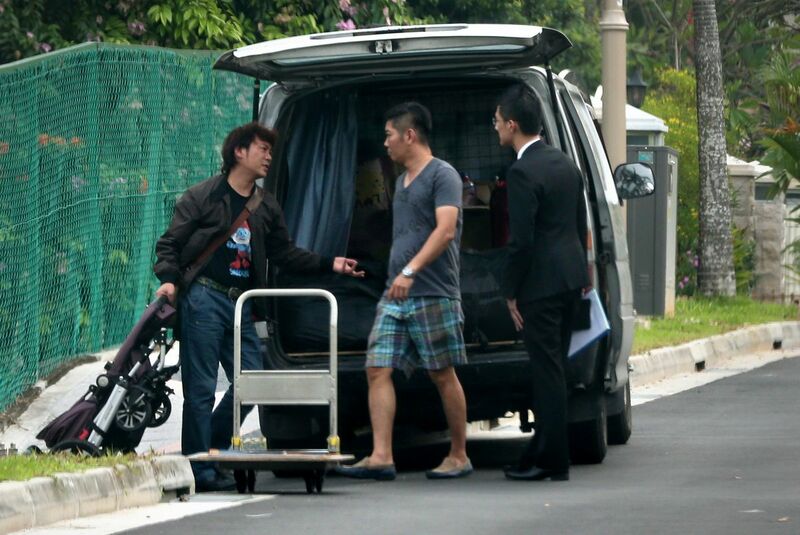 Mr Yang Yin (left), a former tour guide, loads his items from the house at 2F Gerald Crescent into van on 10 September 2014.
after the younger woman agreed to leave the widow's $30 million bungalow, where she had stayed for a year without rent. 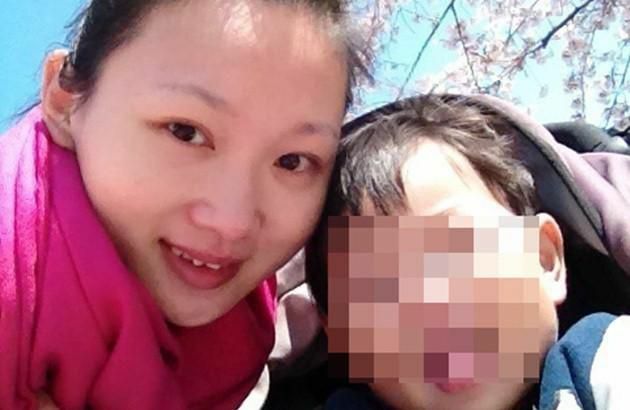 allegedly took over her assets worth $40 million and brought his family to live with him there. 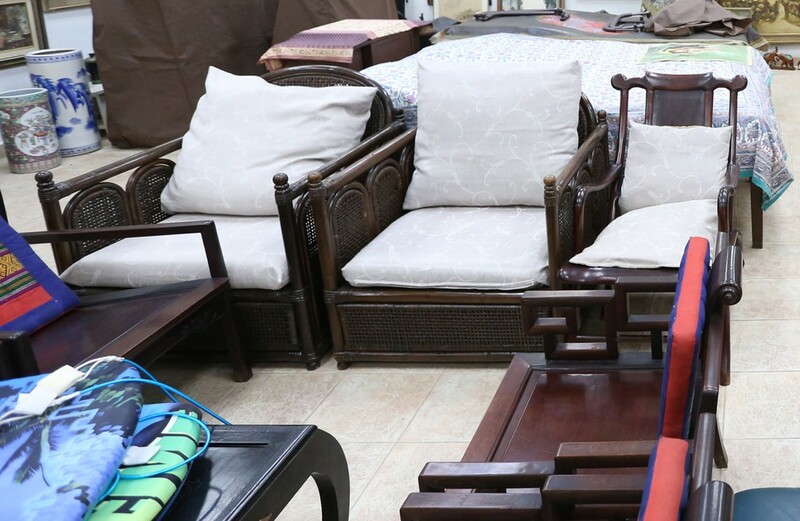 She turned up at the bungalow yesterday at 2pm to demand that his wife, two-year-old son and eight-year-daughter move out because they were trespassing. 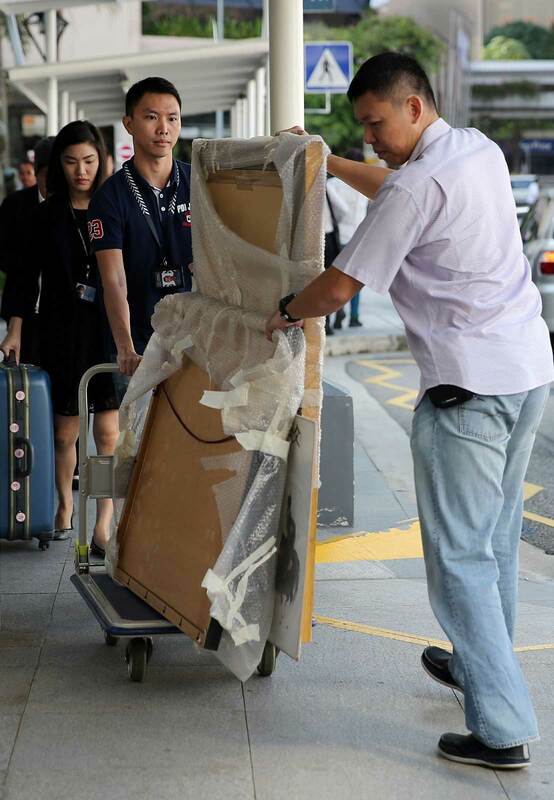 Mrs Yang initially refused. 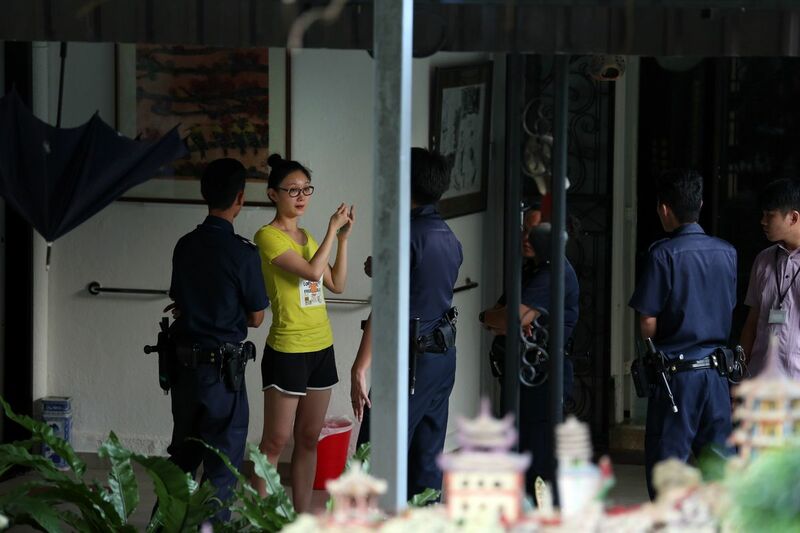 The police were called and five officers later turned up to defuse the tension. 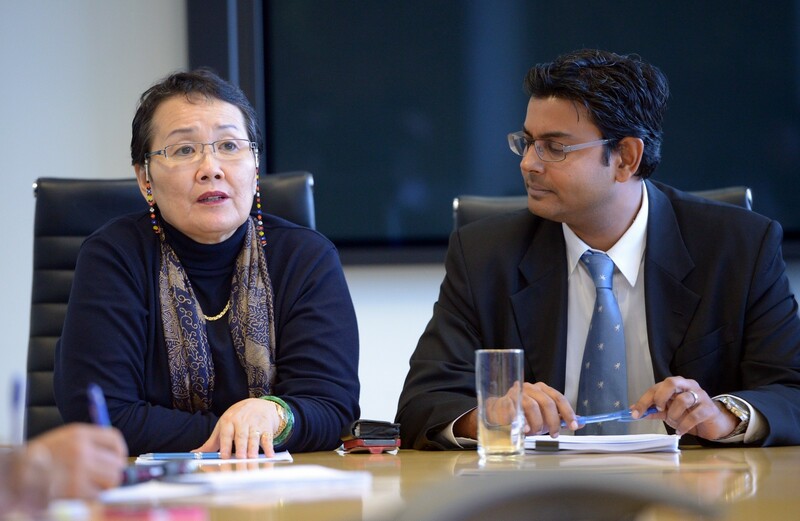 Mrs Yang later agreed to leave the house on the advice of her lawyer. 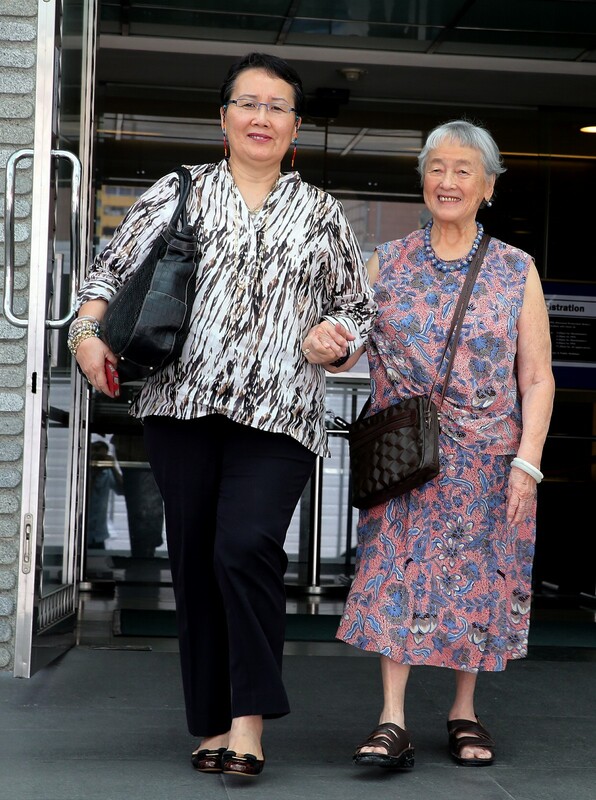 She told The Straits Times before leaving that Madam Chung had invited her husband to live with her. 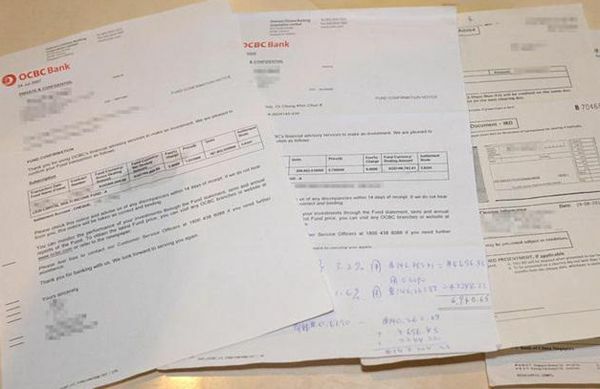 Court papers allege that Mr Yang started asking for money to be sent to his bank account in Hangzhou, China, starting from small sums of $4,000, which grew over time to $40,000. 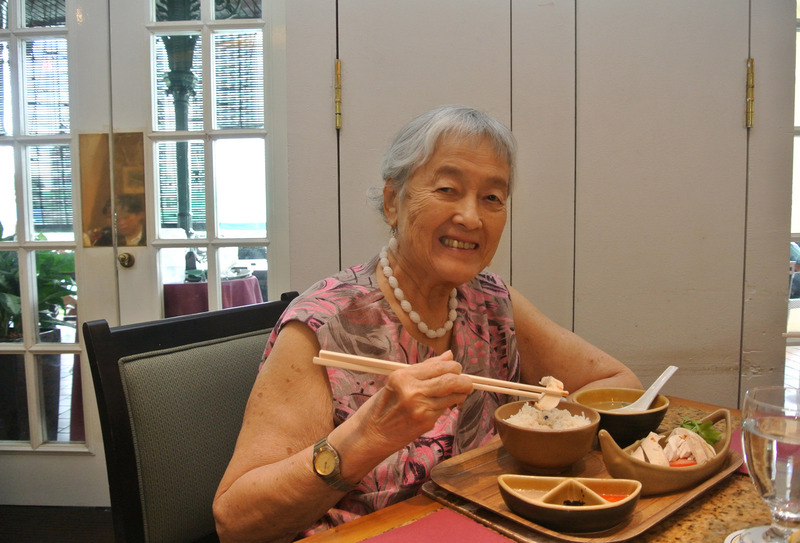 He also asked to be sponsored for an English course in Singapore which costs $4,000 and took a $1,000 monthly allowance from Madam Chung when he was here. 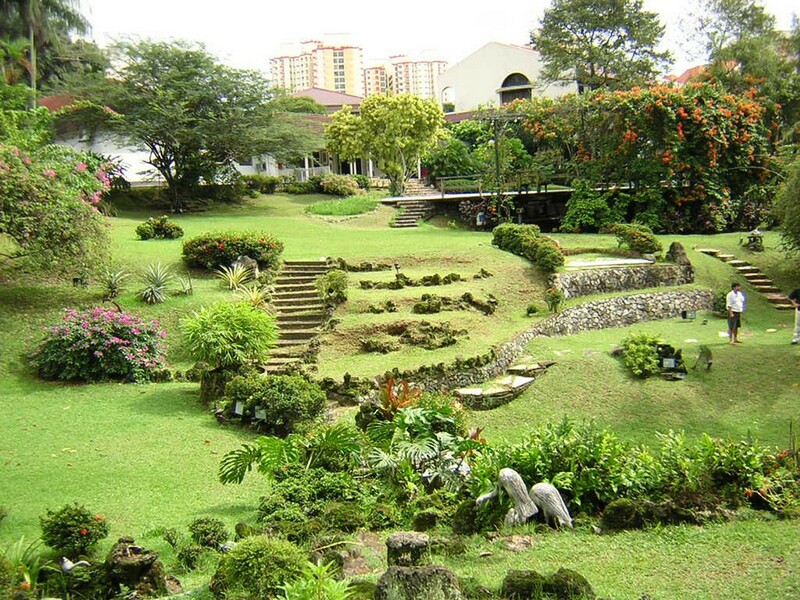 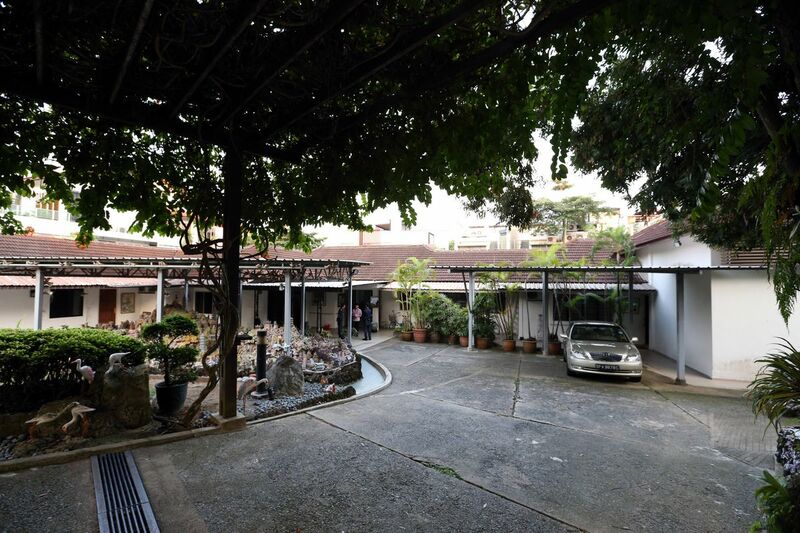 Ten years ago, the garden of the bungalow along Gerald Crescent had a lily pond as well as durian, rambutan, papaya and jambu trees - a sanctuary for the ageing couple who lived there. 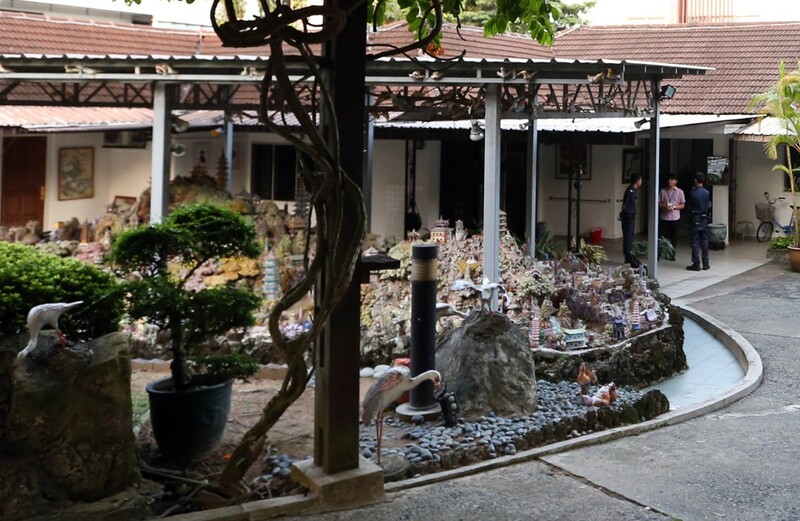 Gone also is the idyllic tranquillity that the bungalow once afforded its owners, Madam Chung Khin Chun and her husband, Dr Chou Sip King. 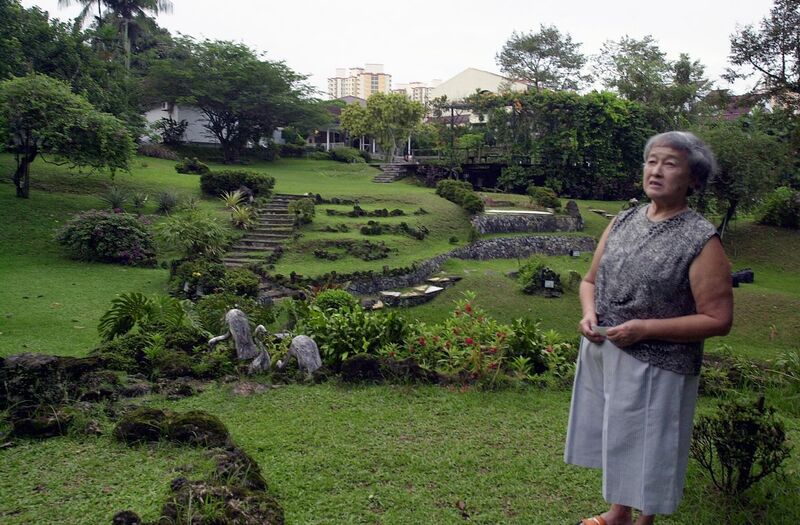 Madam Chung and Dr Chou sold their 39,000 sq ft backyard garden - about the size of half a football field - to private developer Oaktree Land for $7.6 million back in 2004. 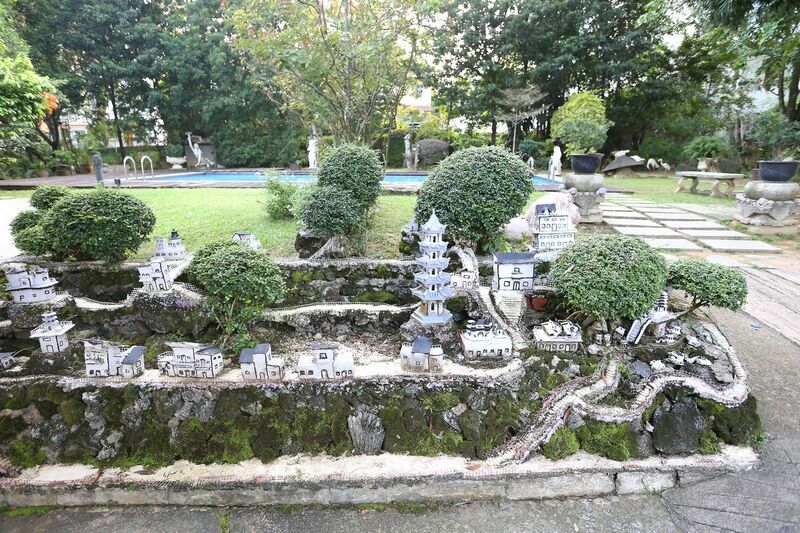 Part of Madam Chung Khin Chun and Dr Chou Sip King's back garden which was sold for $7.6 million in 2004. 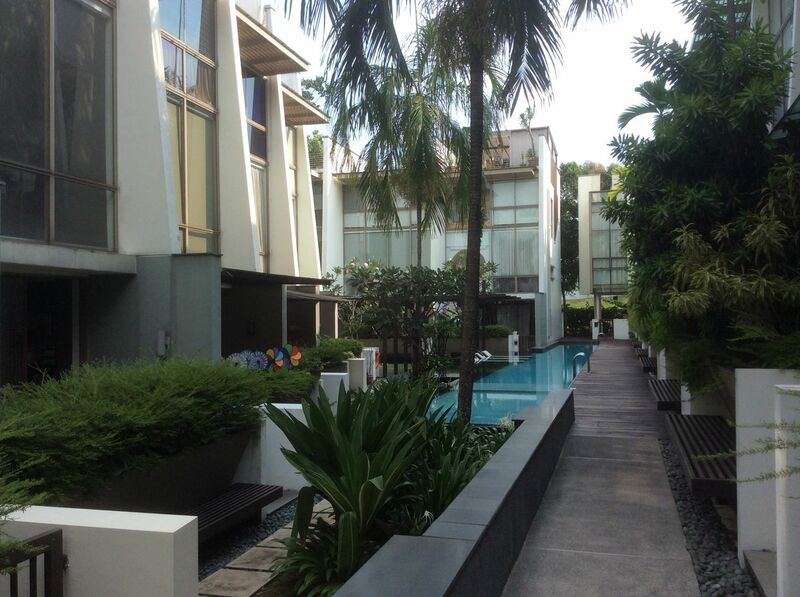 The garden measuring 39,000 sq ft is now home to 25 cluster terrace units. 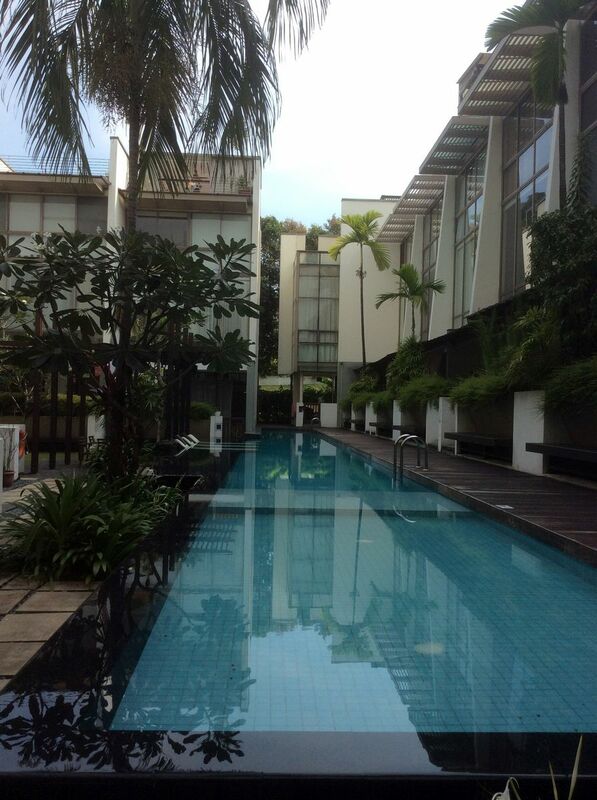 Today, the trees are gone and in their place stand 25 terraced houses, as well as a swimming pool and gym. 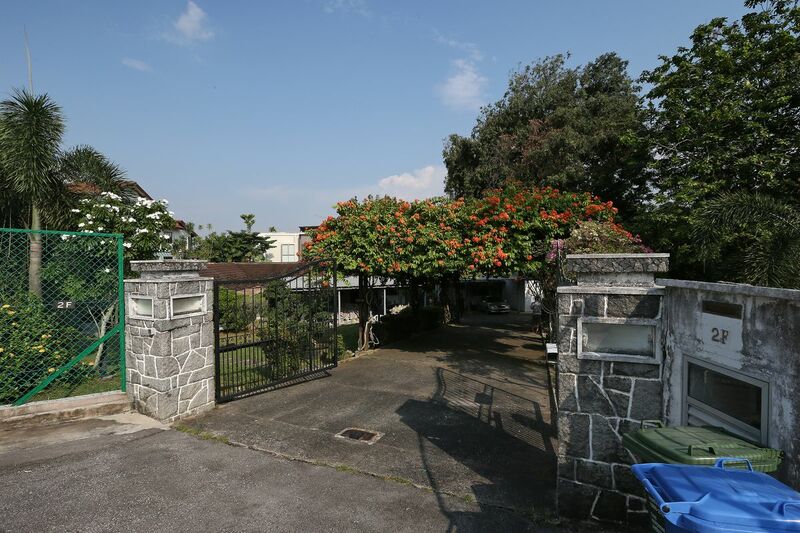 Based on recent market data, these houses are now worth over $2 million each, making the value of the cluster housing project well over $50 million in total. 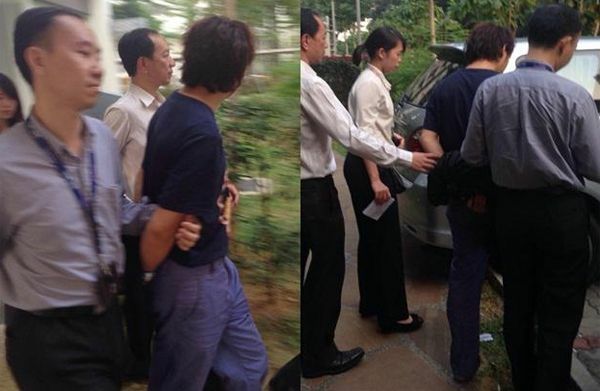 Yang Yin was alleged to have set up a sham company. 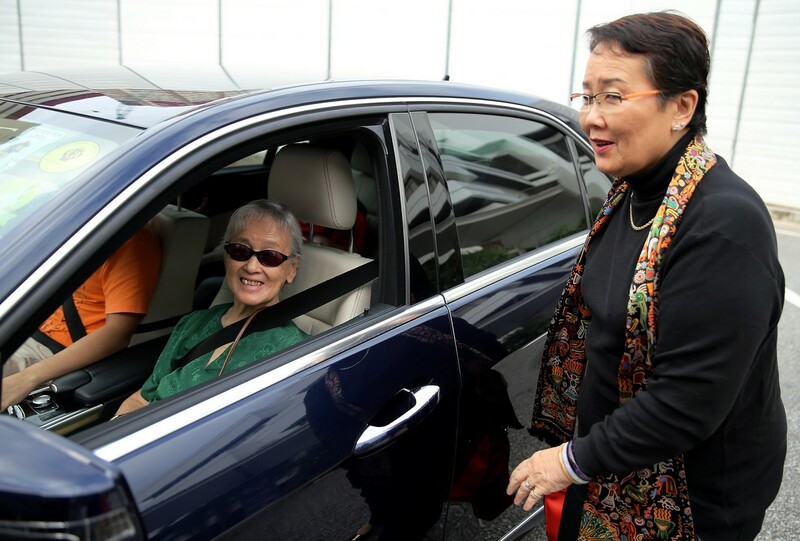 Her sister is Madam Chung Khin Chun, the 87-year-old widow who has given control of her $40 million assets, including the bungalow, to a tour guide from China. 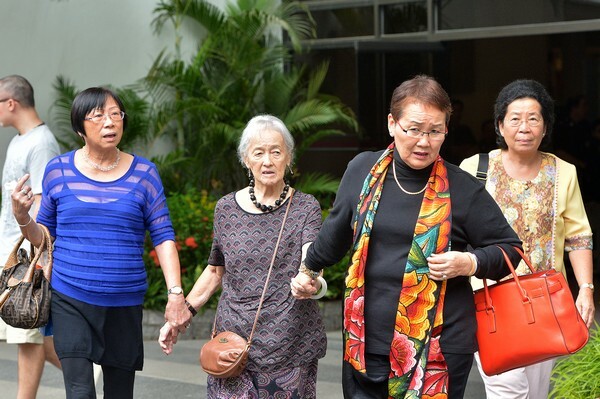 Madam Doris Chung's daughter Hedy Mok, a travel agency owner, is now embroiled in a court battle to recover control of the assets from 40-year-old Mr Yang Yin. 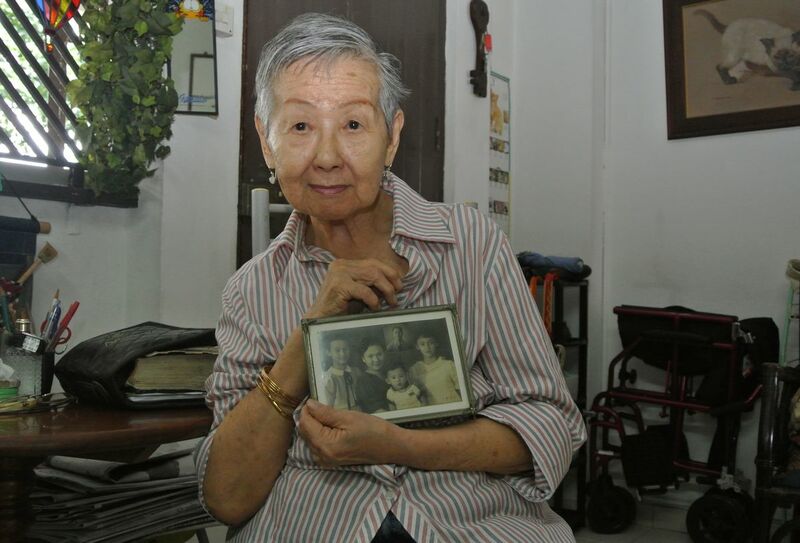 Pictures of her younger sister adorn the living room of the Simei Housing Board flat where Madam Doris Chung lives. 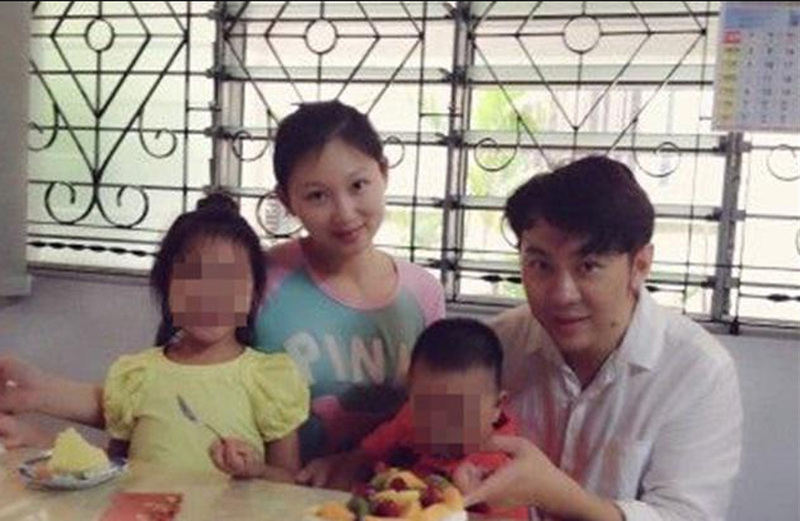 They were born in Indonesia to Chinese parents. 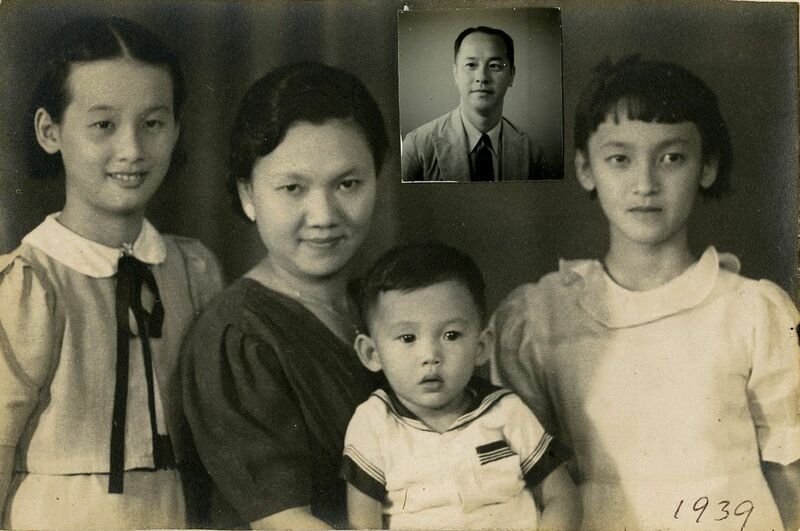 Their father was a mining engineer and they grew up in Jakarta. 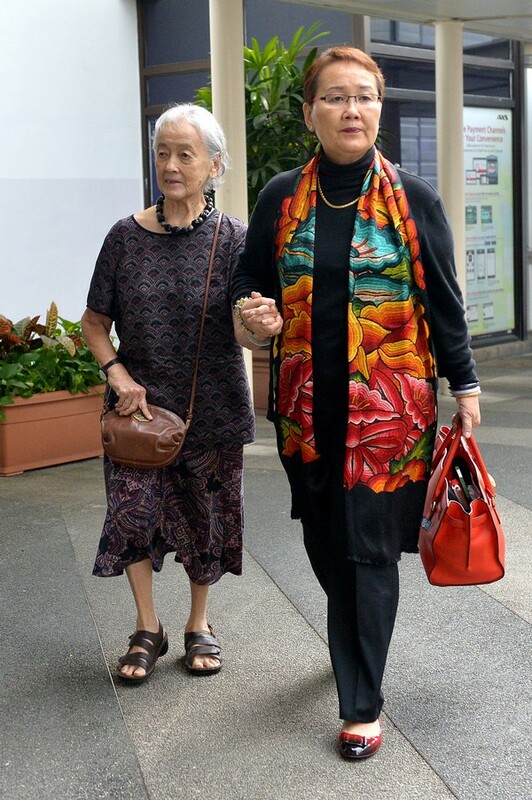 Madam Doris Chung revealed that she offered to let her sister adopt her youngest child, Deborah, who is now 56 and runs her own restaurant in California. 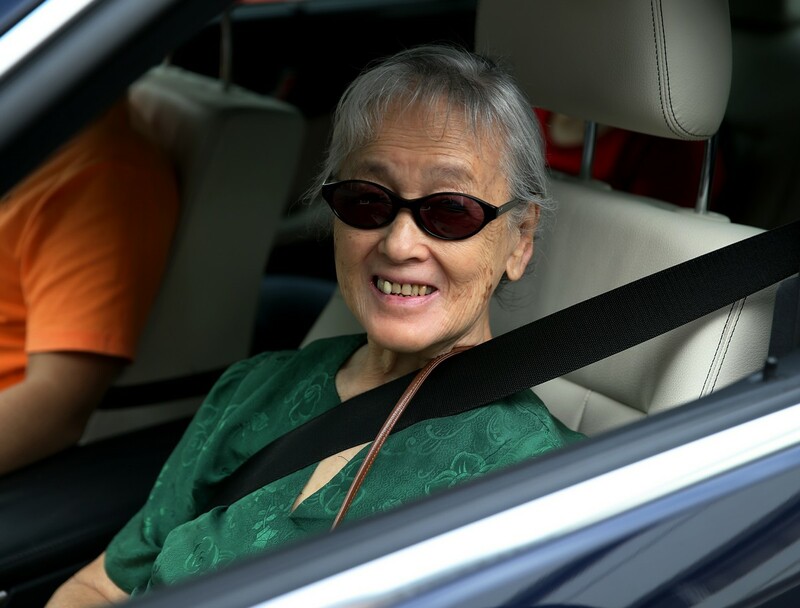 But while her sister was open to the idea, her husband, Dr Chou Sip King, a general practitioner who died in 2007, was not keen, said Madam Doris Chung. 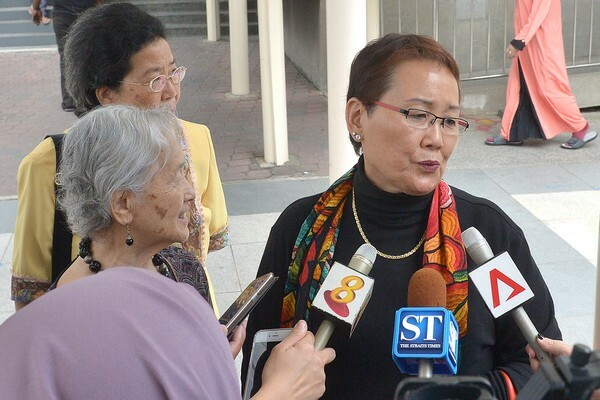 Hedy Mok talks to the media outside of State Court. 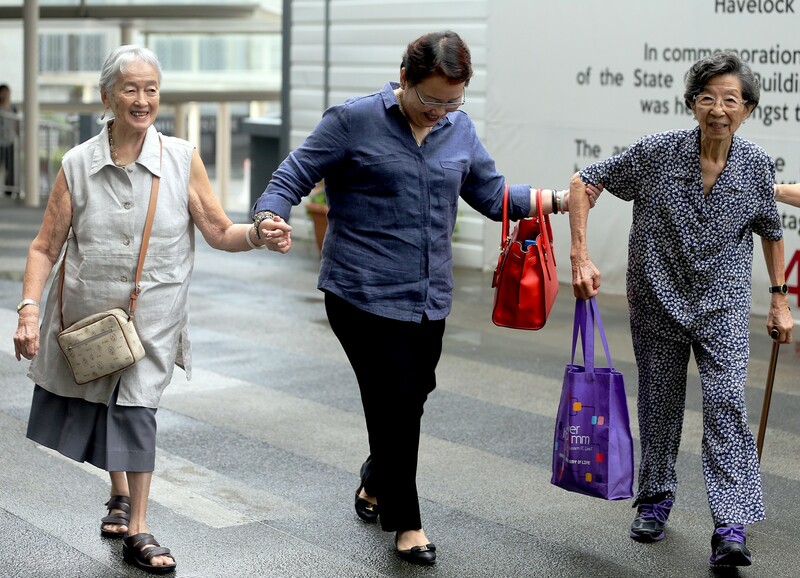 Hedy Mok with Madam Chung Khin Chun walks out of court with their friends and supporters. 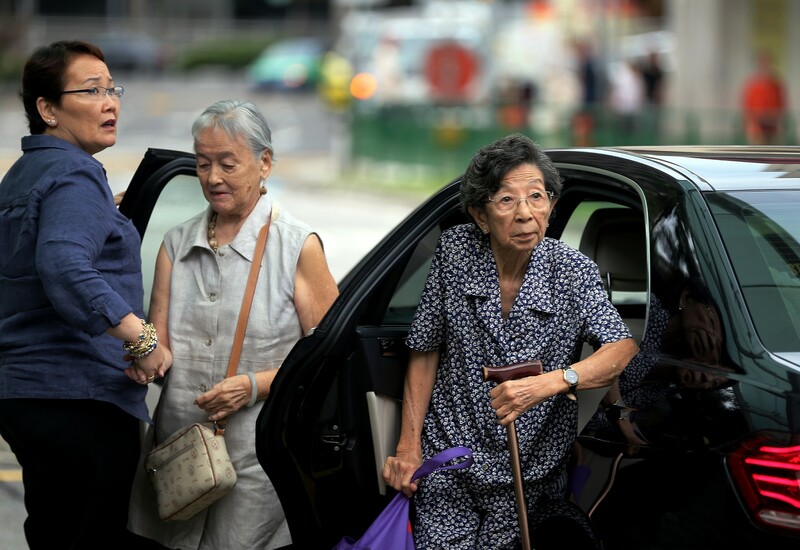 Sentencing of Yang Yin, is accused for misappropriating $1.1million from an elderly widow Madam Chung Khin Chun, 89 year-old. 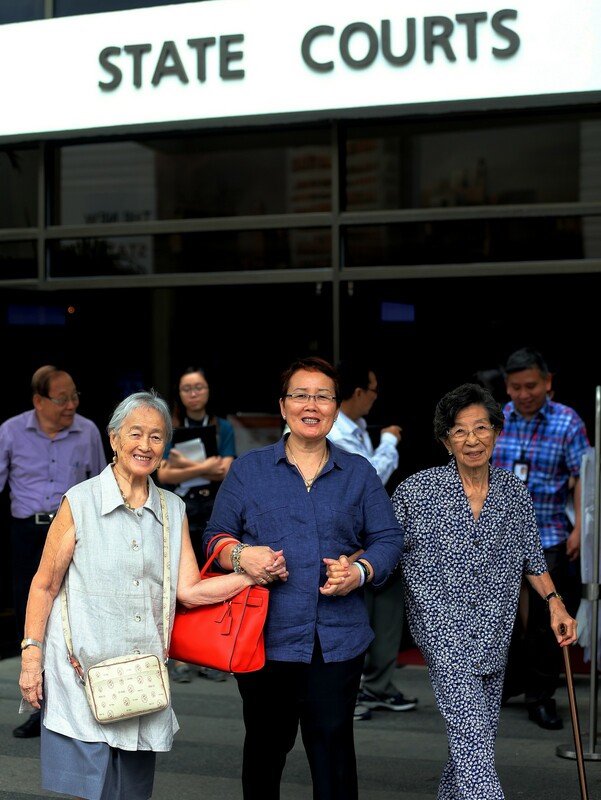 Supporters and friends of Madam Chung. 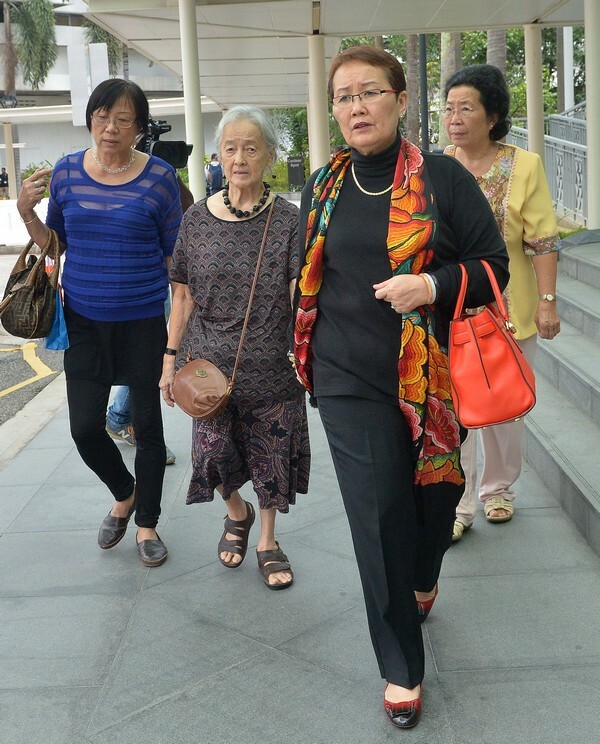 Hedy Mok with Madam Chung Khin Chun walks out of court with their friends and supporters. 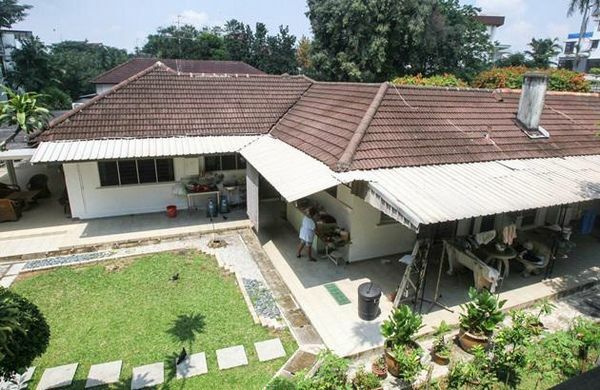 Tucked away from Yio Chu Kang Road, the single-storey bungalow at Gerald Crescent today occupies 32,000 sq ft - less than half its original size. 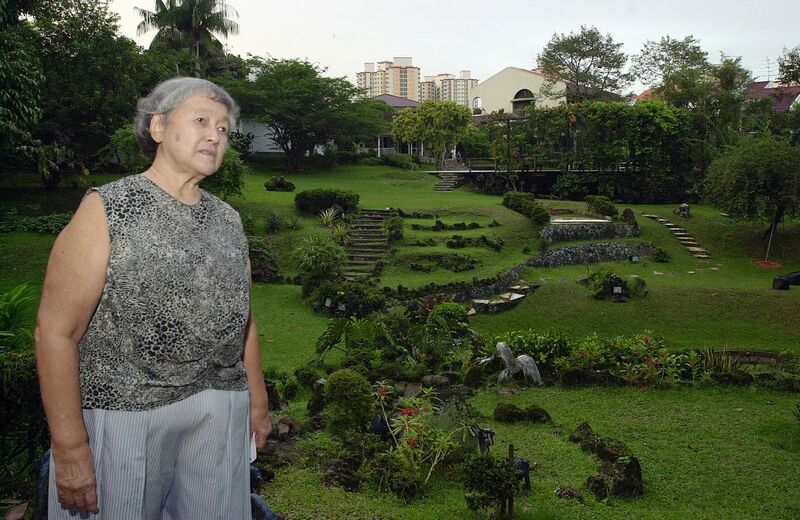 A decade ago, 87-year-old widow Chung Khin Chun and her late husband, Dr Chou Sip King, sold their 39,000 sq ft back garden for $7.6 million. 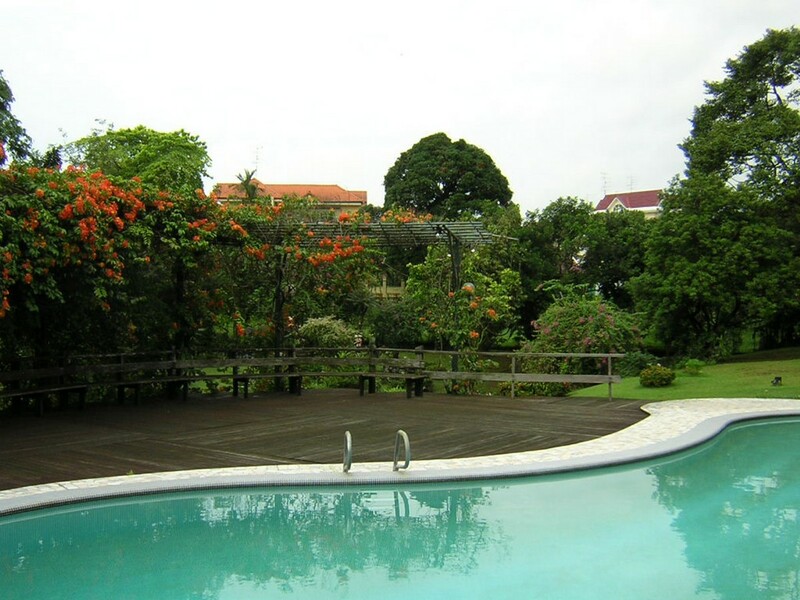 THEN AND NOW: The home's former back garden (pictured), which was sold in 2004 for $7.6 million. 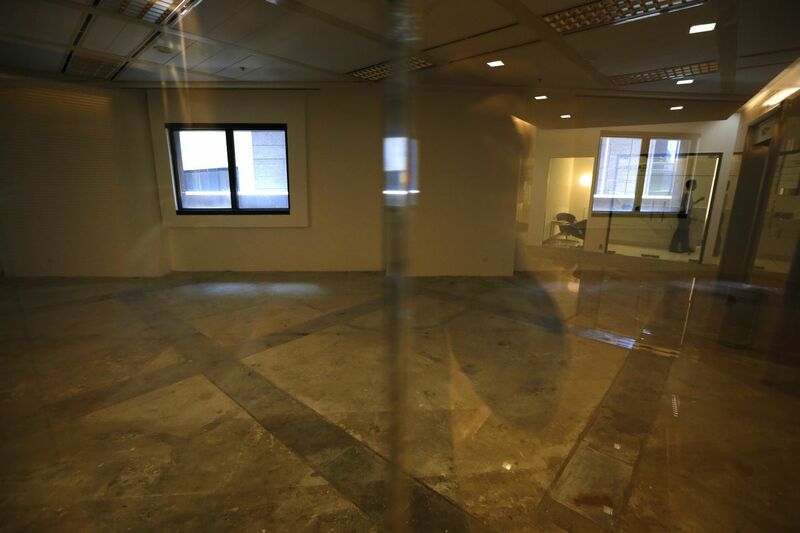 It measured 39,000 sq ft. 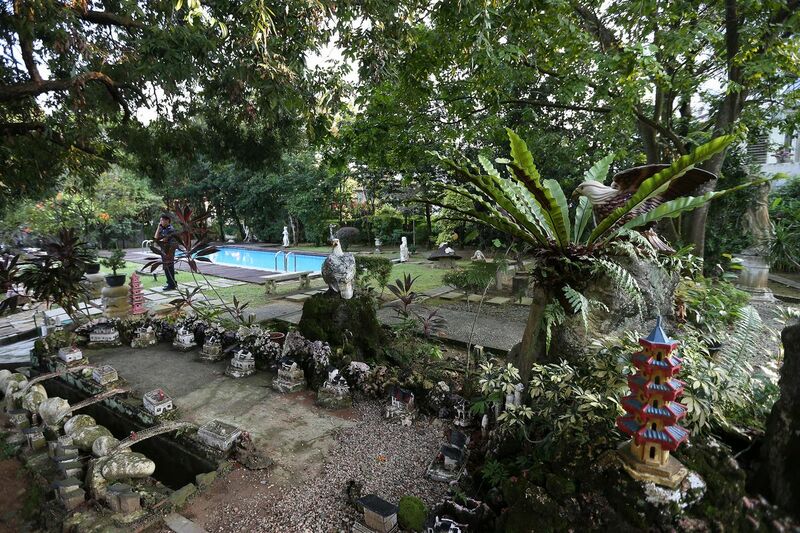 There was also 20m-long swimming pool, where the couple used to hold lavish parties. 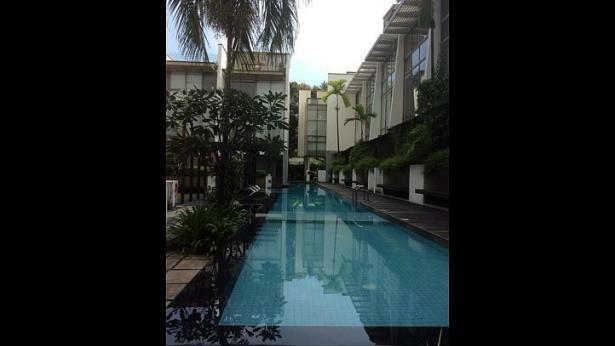 A smaller swimming pool measuring 12m has since replaced it. 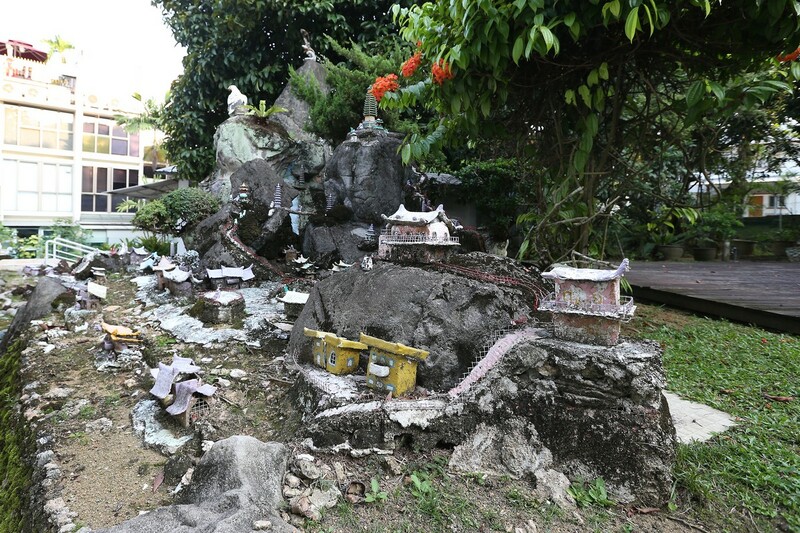 It was built in front of the bungalow for Madam Chung, an avid swimmer. 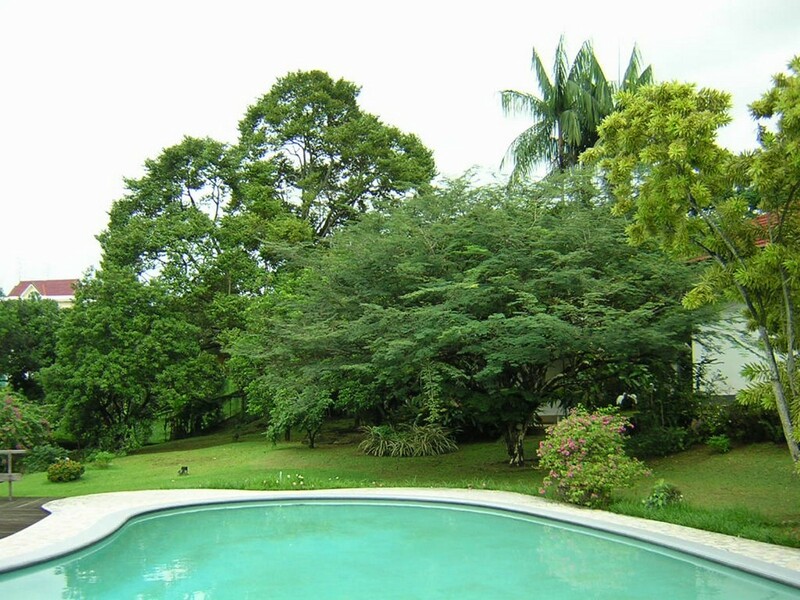 THEN AND NOW: The home's former back garden (pictured), which was sold in 2004 for $7.6 million. 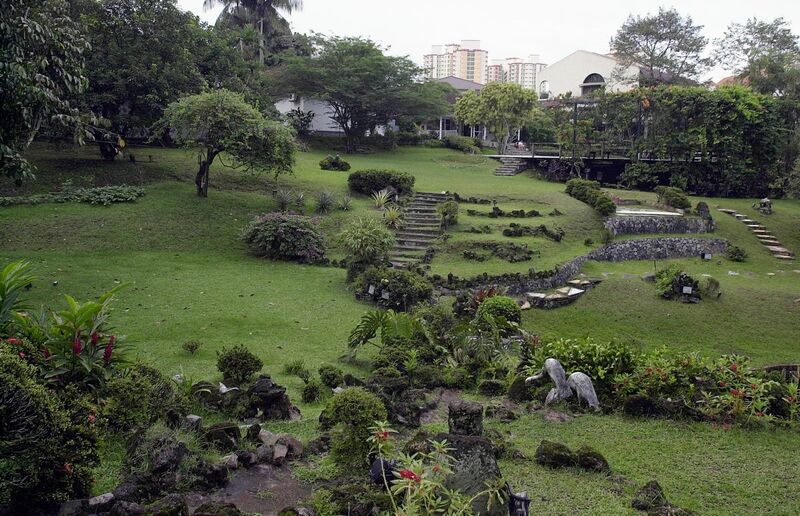 It measured 39,000 sq ft. About the size of half a football field, the garden had a lily pond as well as durian, rambutan, papaya and jambu trees. 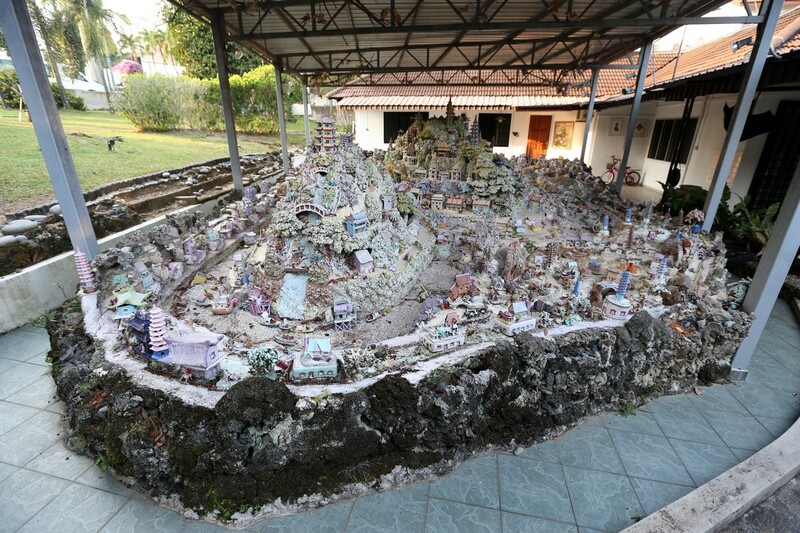 A cluster of terraced houses (pictured) has since been built there. 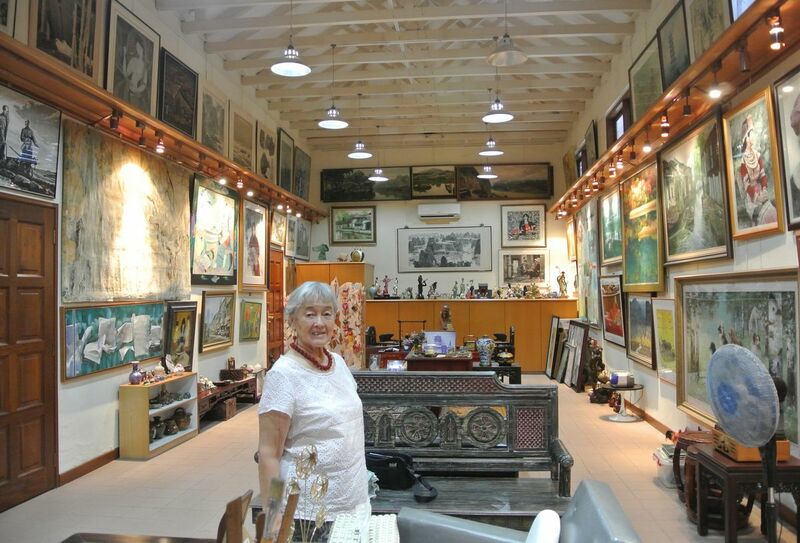 But some things have not changed, including the two art galleries the couple built in the 1980s. 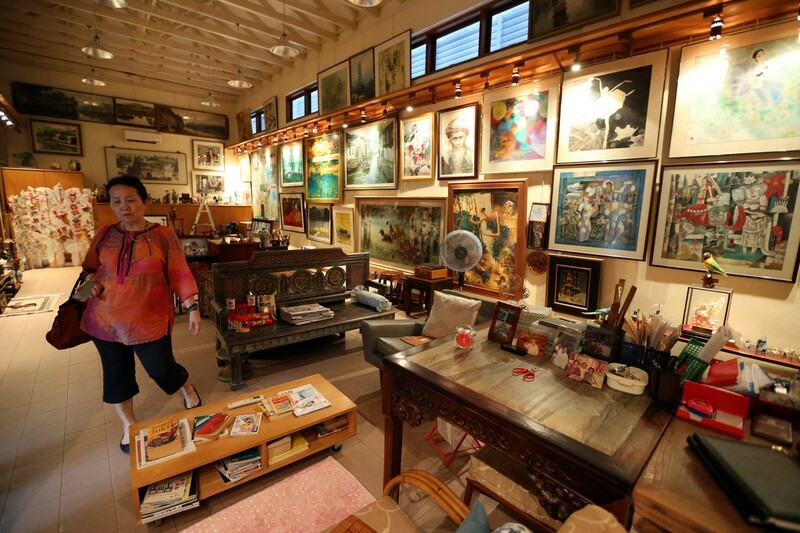 INSIDE THE HOUSE: Madam Chung's niece Hedy Mok inside one of the home's two art galleries, which are air-conditioned to keep the works in good shape. 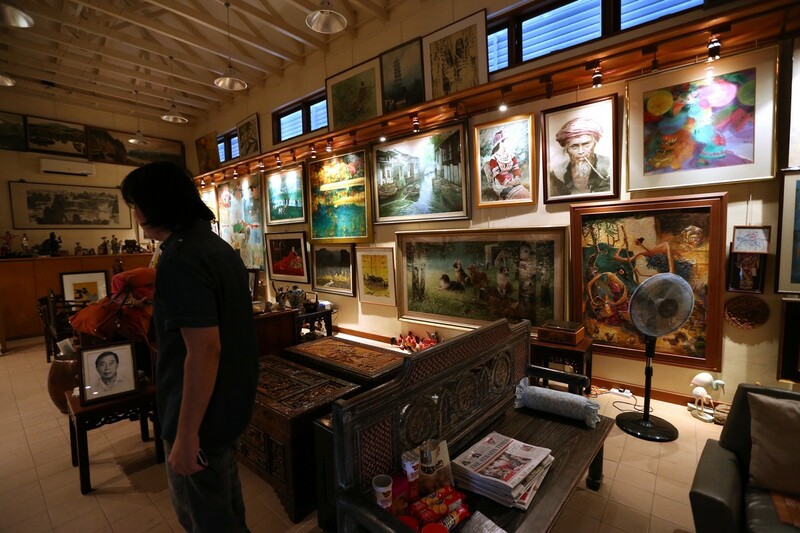 The ceilings in these galleries reach 5m, giving ample space for three rows of paintings on the walls. 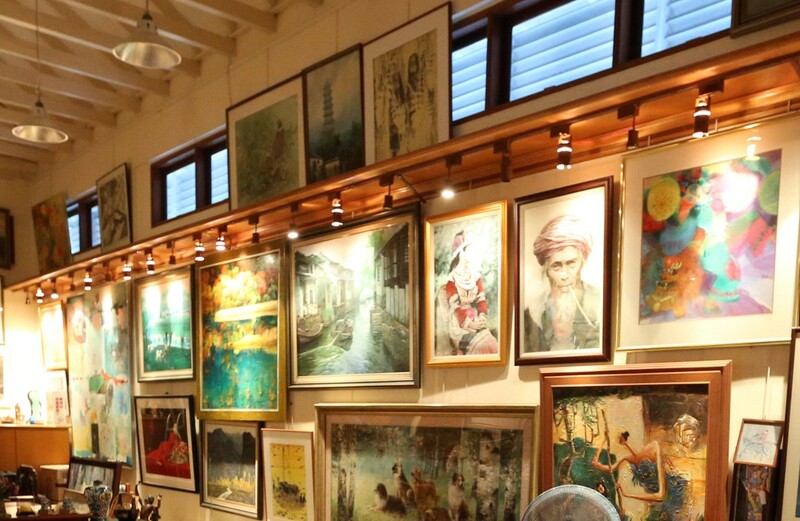 One art gallery is located beside Madam Chung's bedroom, while the other is in a separate building at the back of the main house. 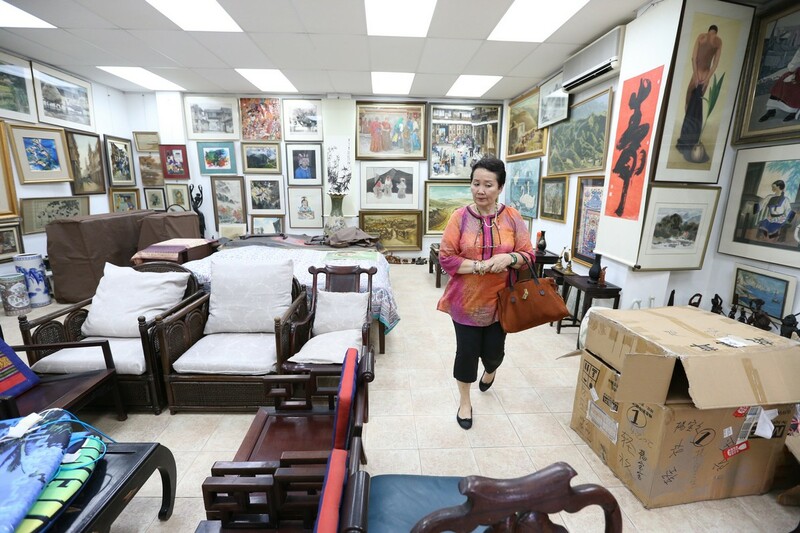 The galleries, each about the size of a four-room flat, are air-conditioned to ensure the paintings remain in good condition, said Madam Chung's friend of over 30 years, Dr Tan It Koon. 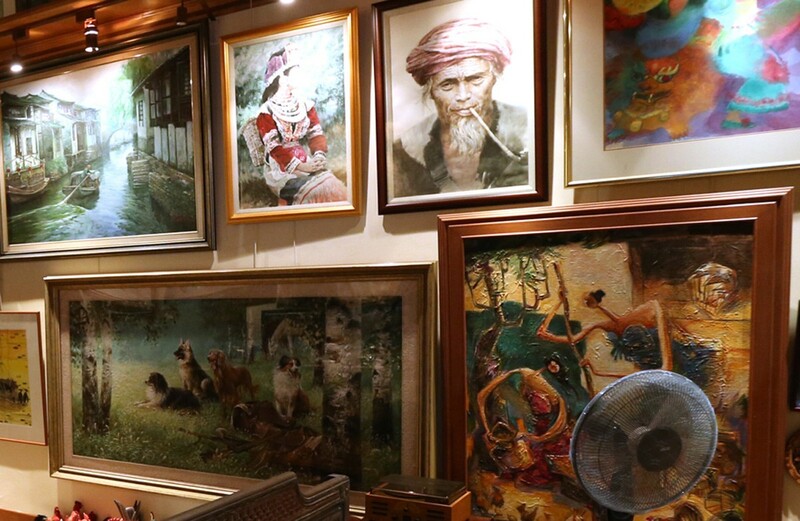 The widow has wide taste in art. 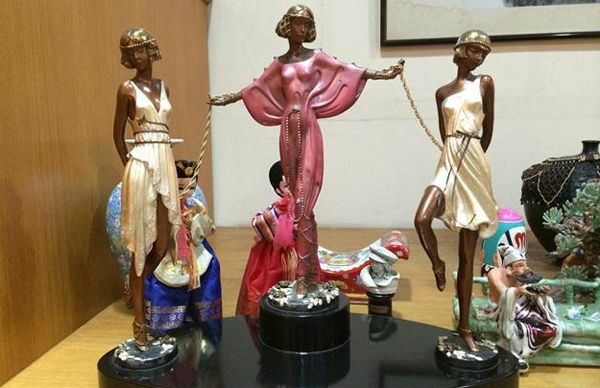 Among her collection are stone sculptures, precious stones of rose quartz, jade and amethysts as well as abstract and Chinese paintings, and antiques. 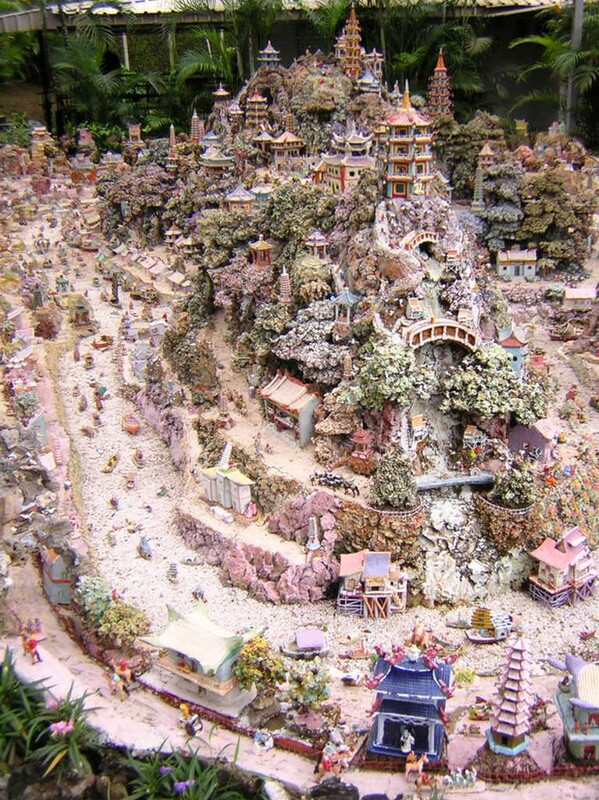 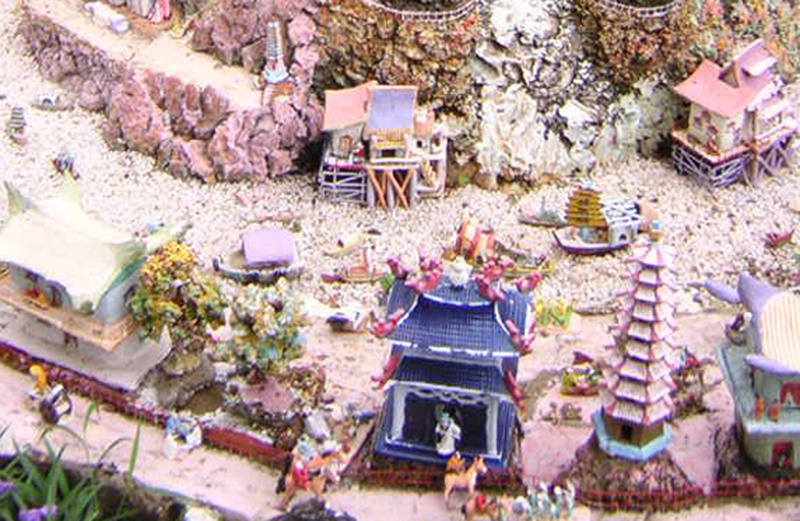 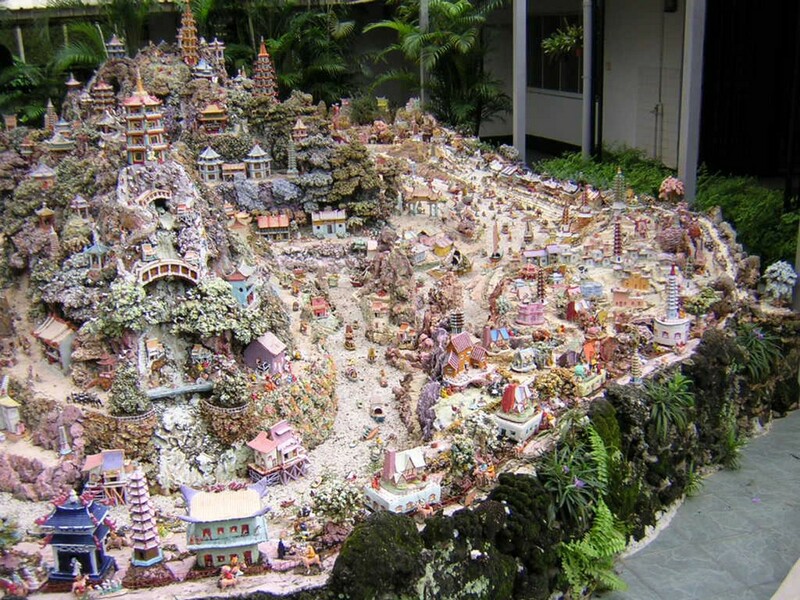 MINIATURE LANDSCAPES: Sculptures can be seen within the compound of Madam Chung’s 32,000 sq ft bungalow. 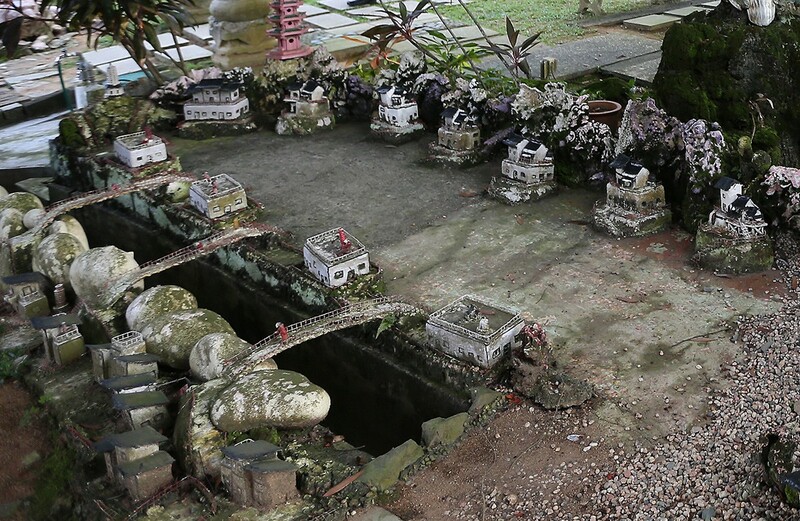 THEN AND NOW: Handmade miniature structures on display at the $30 million bungalow. 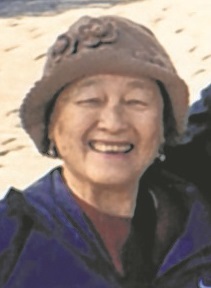 Picture taken in 2004. 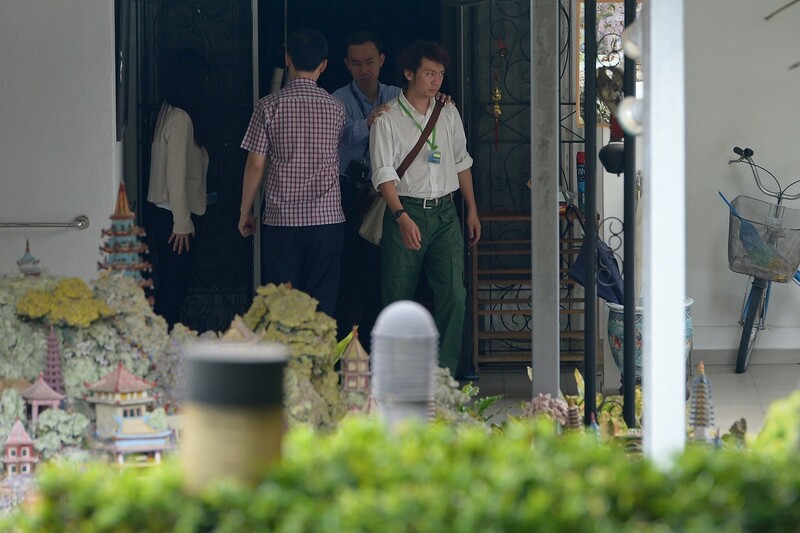 Former tour guide Yang Yin (in green trousers) being escorted out of widow Chung Khin Chun’s bungalow by police officers on 19 September 2014. 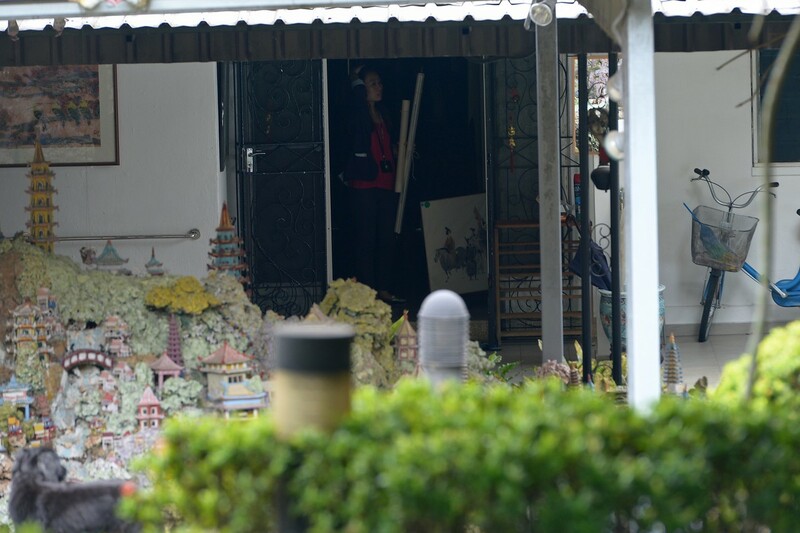 Yang Yin being brought back by CAD to the bungalow to assist in further investigations.